Dog aggression can change the entire relationship and lifestyle between a dog and its owner. Owners are less likely to take aggressive dogs out where they can become potential threats to other dogs, people, and animals. Training is, therefore, essential to curb the underlying causes of aggressive behavior: frustration and dominance. Here are the expert’s five top tips for training an aggressive dog. While some dogs have bad reputations for aggressive behavior, it is important that every dog owner understands that any dog can become aggressive. Big dogs just do bigger damage. Dogs are pack animals that rely on a pack hierarchy with the most dominant dogs being the leaders. 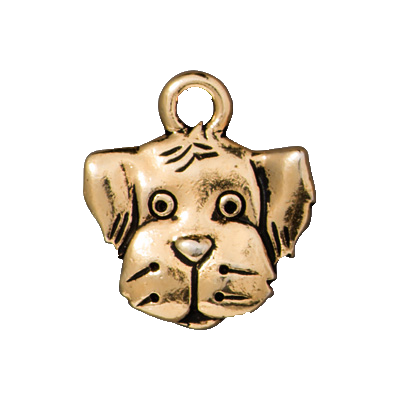 When a dominant dog becomes frustrated with a situation, he can become aggressive. 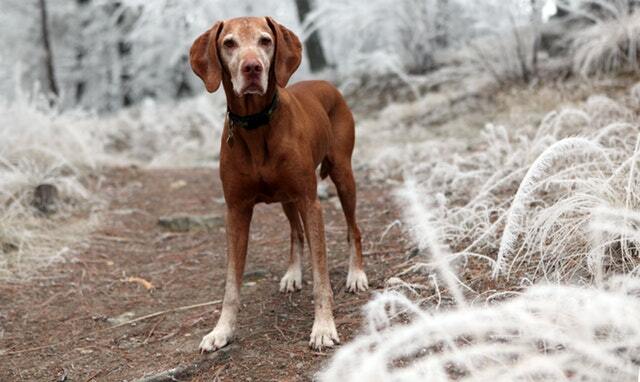 As the pack leader, a dog owner must establish clear boundaries and limitations for their dog. It is also important to give every dog ample time to run and play, releasing pent up energy that might otherwise be misdirected into aggressive tendencies. 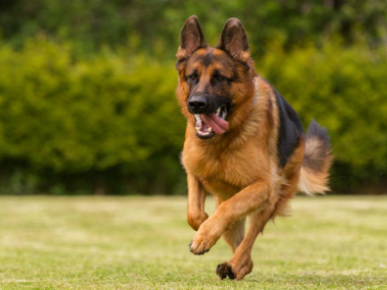 There are two body stances in dogs that should raise concerns about aggression in dogs. The first is a dominant aggressive stance and the second is a fearful, aggressive stance. 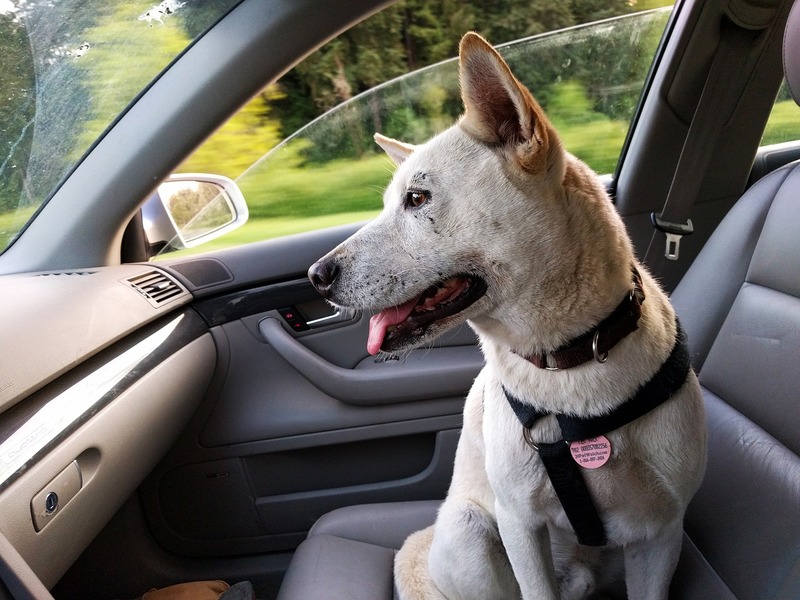 When dogs are happy and secure, their body language is more relaxed with ears perked up but not erect, tails wag, and their head is up and alert but not stiff. A dominant aggressive dog places his weight on his front paws as if to get closer into the situation and exert his behavior. His tail stands up, hackles raised with his lips snarled showing teeth. 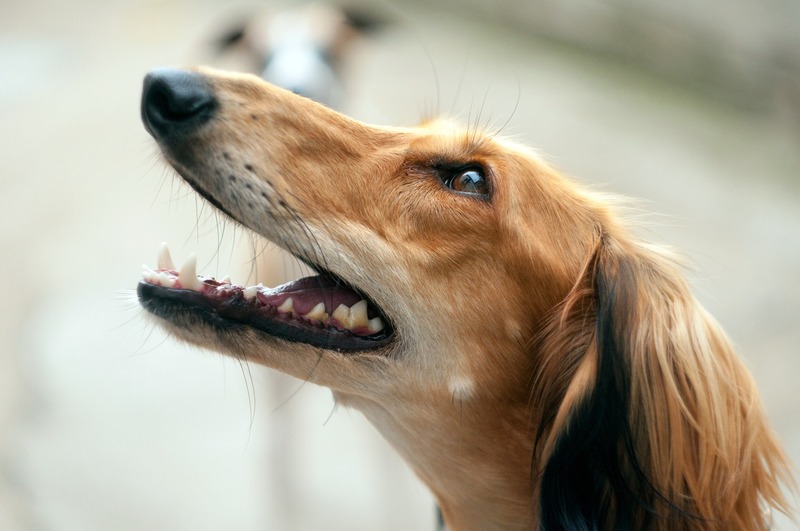 Growling may be audible but don’t wait for the growl to recognize an aggressive dog. A fearful, aggressive dog isn’t a dominant dog by nature but is reacting to something where he feels he needs to defend himself. His tail is cowered between his legs with ears slicked back and lips slightly curled. His hackles are raised, and he will attack if pressed. This is how many eager children get bit, approaching and forcing an otherwise agreeable pet into a fearful dog posture. Do not approach a dog in either aggressive stance and don’t allow people or other animals to approach your dog if he is exhibiting this posture. The good news is you can train an aggressive dog to understand he isn’t the leader of the pack and give him coping skills not to lash out. When they don’t have a leader, they step in and take control. When dogs don’t have rules, the make up their own. Take the role of leader and take back control over your dog. Leash aggression can affect any dog. Every dog owner should understand what leash aggression is and how to deal with this common problem. Dogs greet each other in close proximity, giving each other the full sniff test from nose to tail. 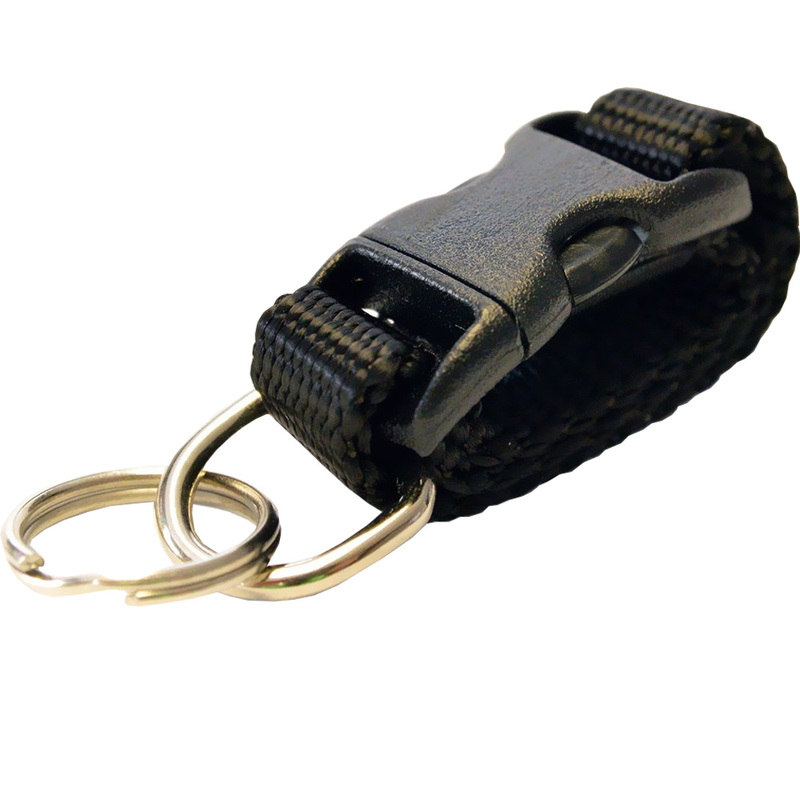 A leash constricts a dog in a time when they want the freedom to check things out and move quickly if needed. The simple solution to leash aggression is the off-leash socialization of dogs. By giving your dog the time, space and desire to meet and greet other dogs, he builds confidence in his stature in the pack. Of course, you need to be aware of dog postures and the signs of aggression. 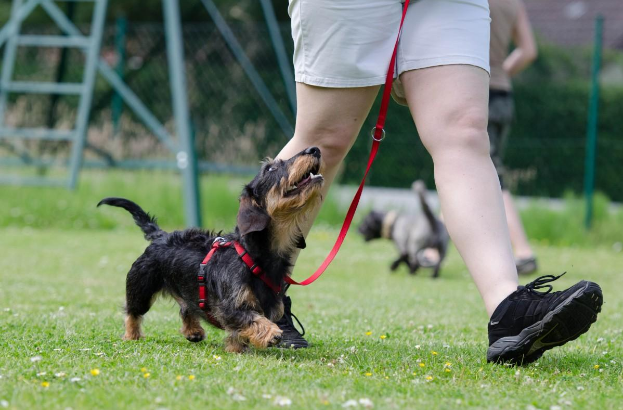 Over time, as your dog becomes more socialized, he will be better suited to meet and greet other dogs while on the leash. It’s not just alleviating leash aggression where socialization helps. Dogs who don’t get socialized are often defensive or fearful of new people or animals. 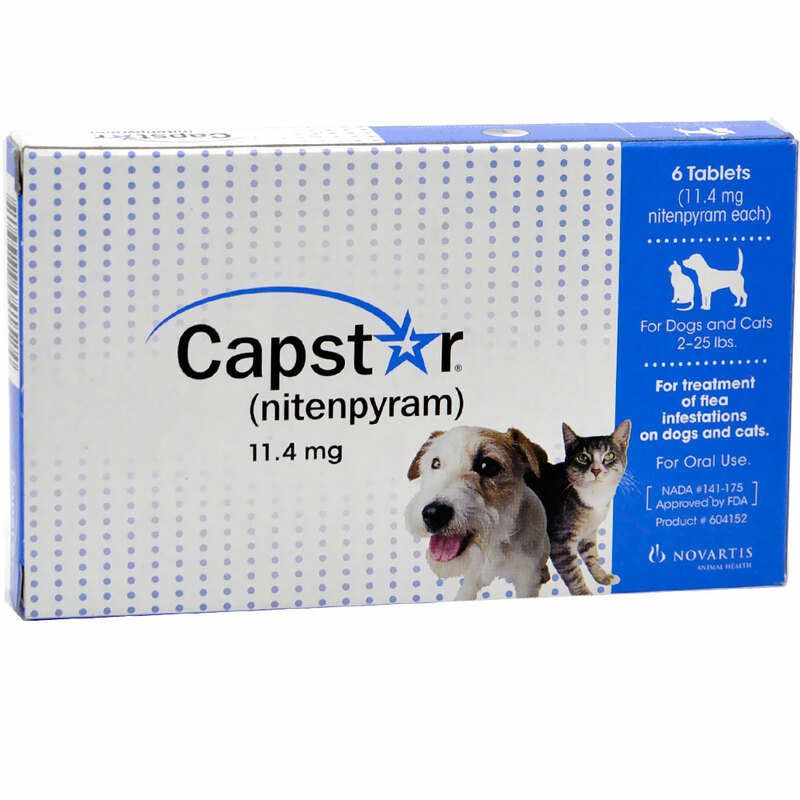 If your dog is nervous or fearful of new people, calming tablets can often help. When a dog develops an aggressive mentality by taking a dominant stance and growling, owners usually remove him from the situation. This gains the opposite desired result by actually rewarding him. It teaches him that his behavior was correct because he was removed from something he didn’t like. He never gets the chance to determine if the threat was really nothing to be concerned with at all. 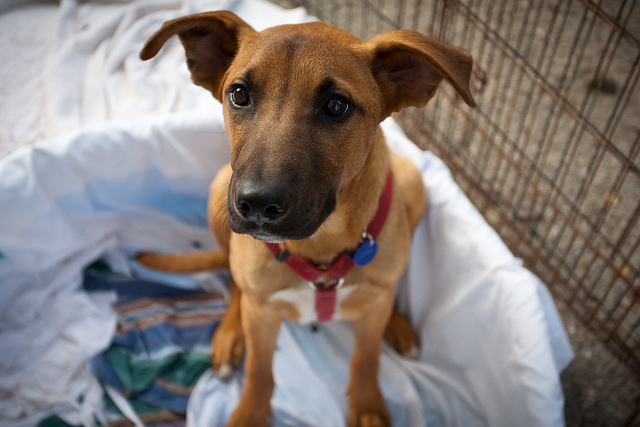 Being proactive with a young puppy or a newly adopted dog is important. 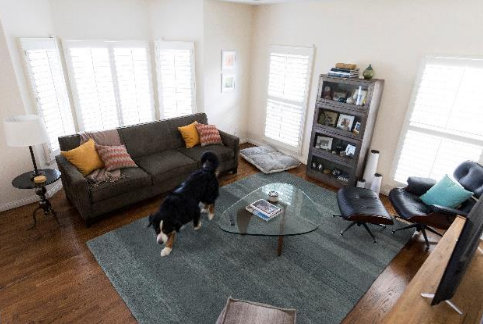 Take him to group obedience training classes, walks in the neighborhood and to dog parks or daycare facilities. 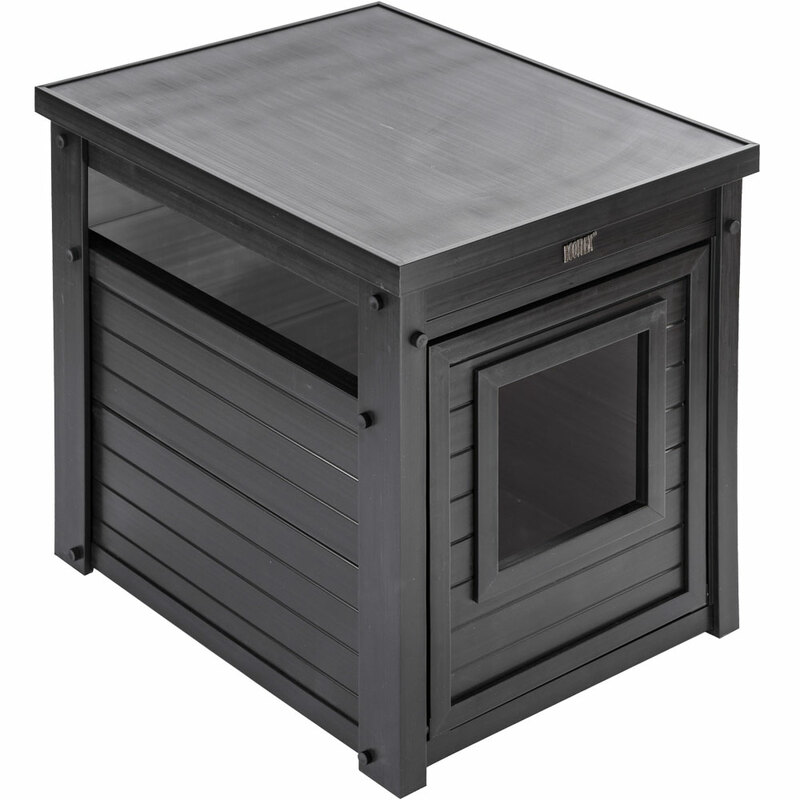 It is easier to address socialization while your dog is still defining his place in the pack. 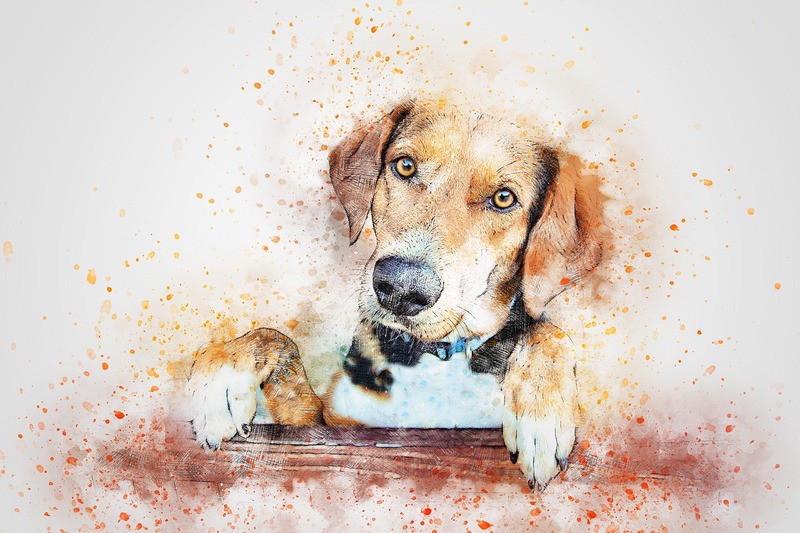 At the same time, do know that it is never too late to help an adult dog overcome aggression but is probably best done with a professional dog trainer assisting. 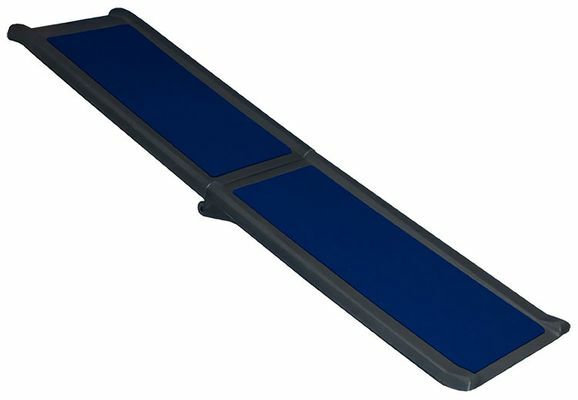 Of course, there are some products on the market which can also help; if your pooch barks loudly and constantly or is aggressive, SENTRY Stop That! 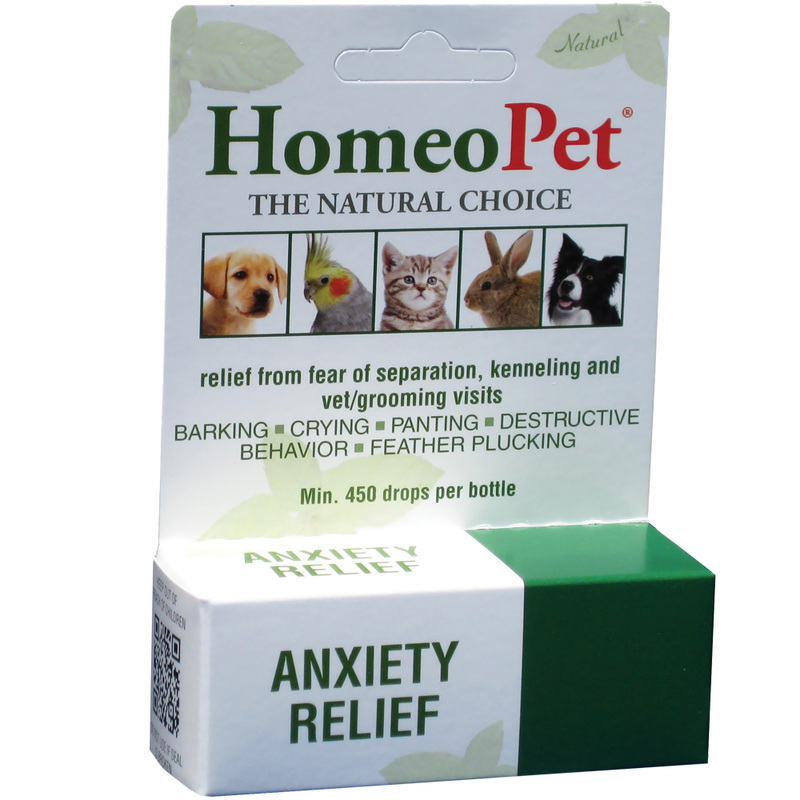 Noise and Pheromone Spray for Dogs is a good solution. Hitting a dog demonstrating aggressive behavior will only elicit more aggressive behavior. Yanking on his leash when he is pulling will only lead to more pulling. You can’t battle aggression in dogs by being aggressive. 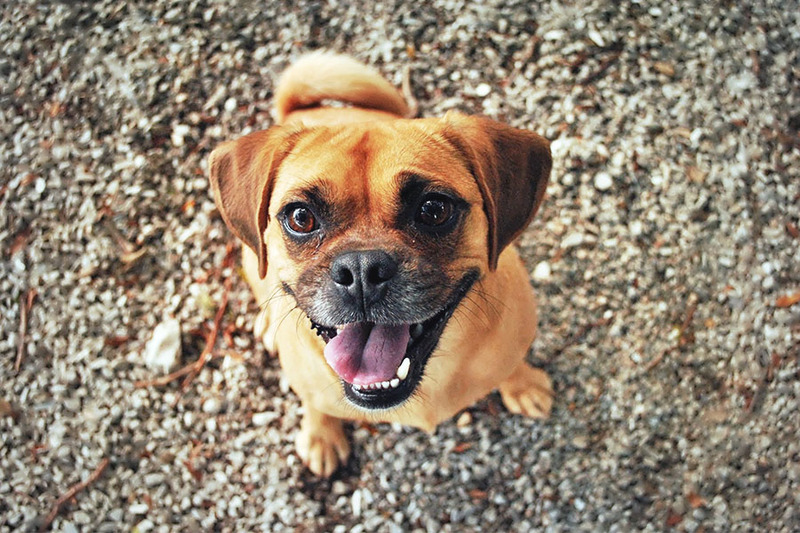 Set boundaries and rules for your dog then use positive reinforcement to encourage him to be compliant. 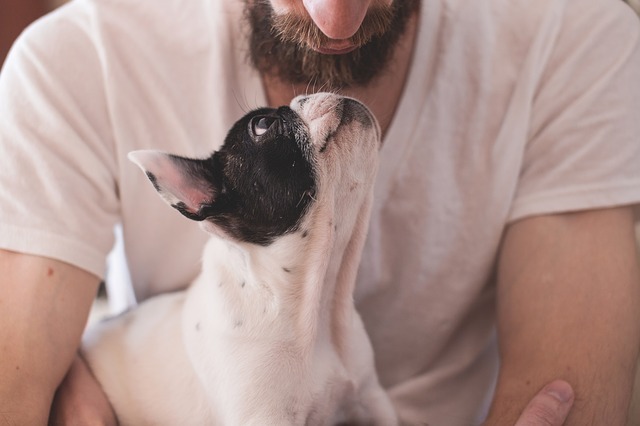 When positive reinforcement is used with a dog, they are more likely to work harder to please you – the person holding the magical bag of treats. 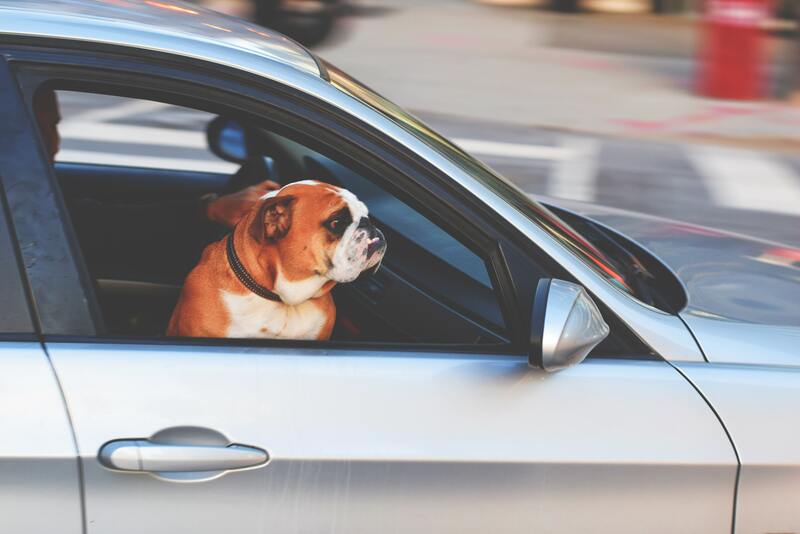 Be the leader of the pack with your own consistent behavior, and your dog will follow suit. 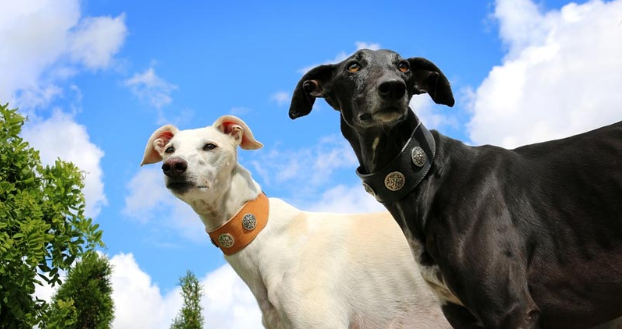 Using a training collar such as the Gentle Leader will give you control over the dog’s head and face. Yanking on a collar doesn’t do anything except start tug-of-war. The Gentle Leader controls the head and snaps the muzzle shut if necessary. 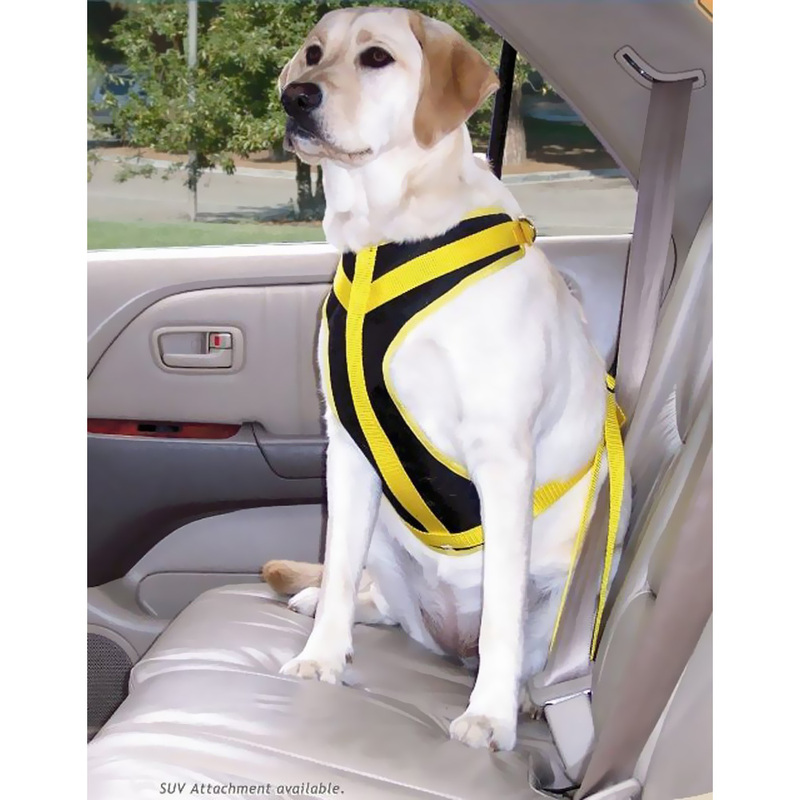 They may sit over their food or a favorite dog toy when other dogs or children are around. Dogs use resource guarding as a way to display dominance and uncertainty. If a dog is fearful that another dog, cat or person will take his food or toys away, he will growl and ultimately become aggressive. The best thing to do is to feed animals apart, especially if someone is new to the pack. 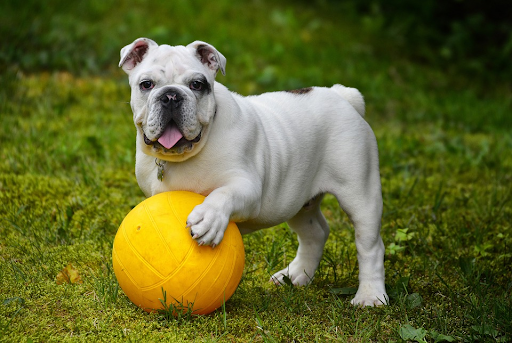 Over time, your dog will realize his food sources are secure and learn to share his toys. But don’t assume this will happen the moment you bring a new dog home. A professional dog trainer can help pet owners learn to recognize dominant aggressive behavior and fearful, aggressive behavior in their pets. Dog trainers also help dog owners learn the tricks to help their dog feel secure and understand their role in the pack. 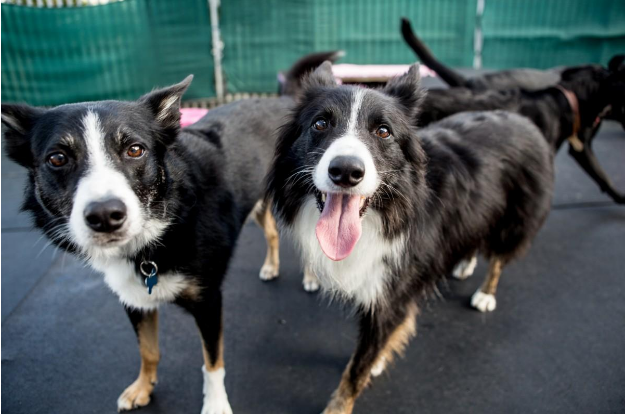 Taking a group class helps to socialize dogs but also gives trainers the ability to see how dogs interact in groups of dogs. They will see your tendencies and help correct you with methods to properly train your dog. Yes, every pet owner requires more training than the pet. 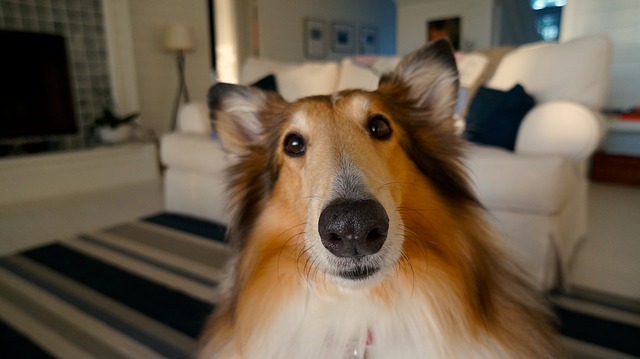 Your dog will learn as long as you are consistent, which few dog owners are at first. If you feel your dog needs more attention than what he is getting in the group, consider individual consultations with the trainer. 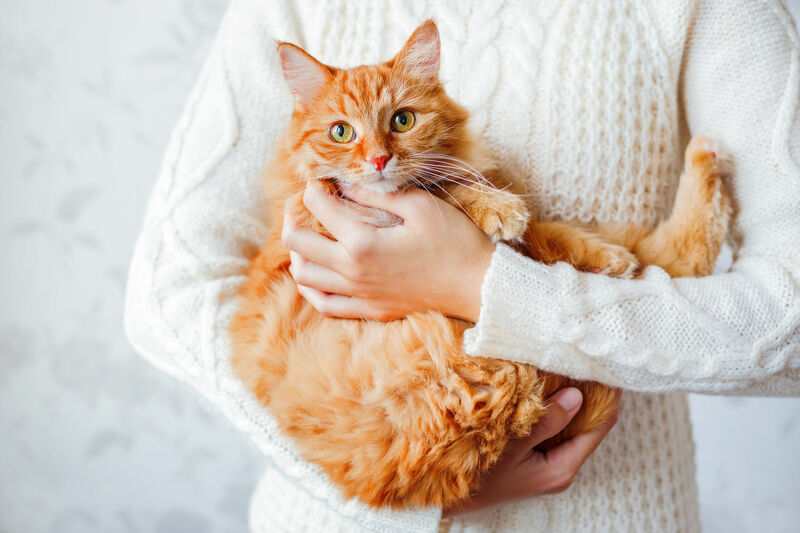 If you have more than one pet or children, it is good to have the trainer visit your home to see the various stimuli and potential problems that exist. 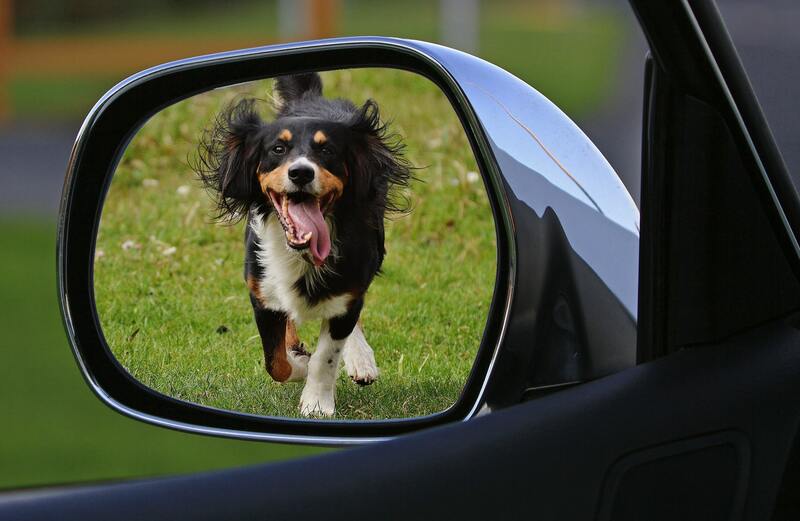 Individual training gives your dog the extra attention he needs to get on track to good behavior. Good behavior is the goal so you can enjoy walks with him, playing fetch in the park and letting him play with other dogs. 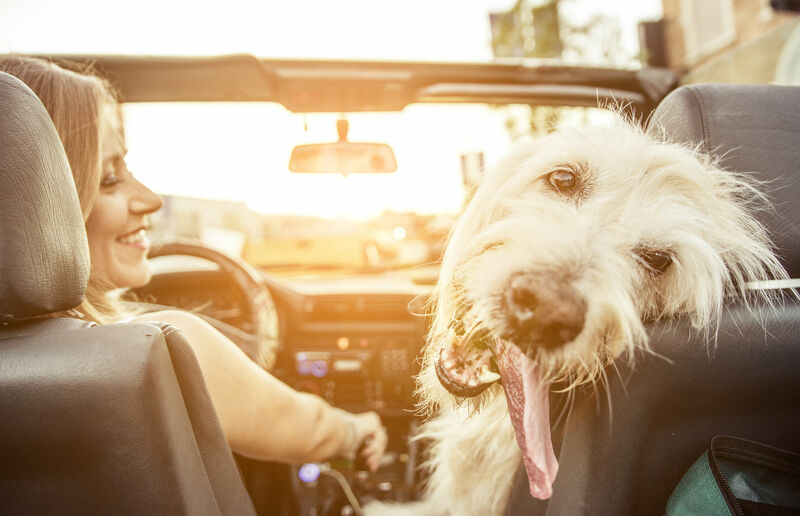 Everyone in the family benefits when dogs are socialized and can be out and about without resorting to aggressive behavior. Kim Leonard is a staff writer for https://thedogtrainingsecret.com, your best source for dog behavior and training information. 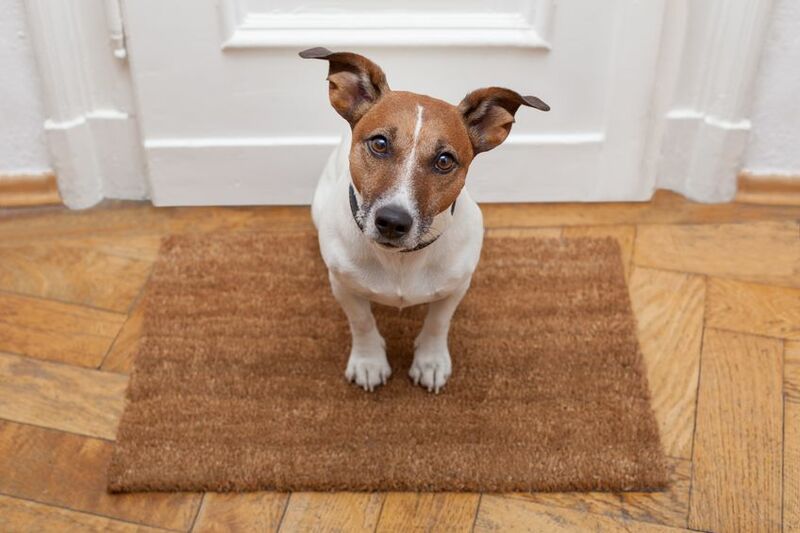 68% of U.S. households own pets, and that translates to at least 85 million little critters. That’s a lot of pets to care for, and pet parents are pretty dedicated. They want the best for their little ones, and this is the reason why the pet service industry will rake in over $60 billion by the time 2018 is over. Of course, the bulk of this spending is on vet care and food. 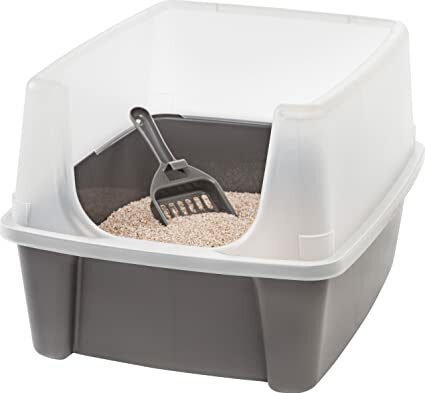 However, a large chunk is also spent on pet products services – gear and toys for dogs and cats, pet sitting, dog walking, boarding, grooming, even pet photography, and burials. 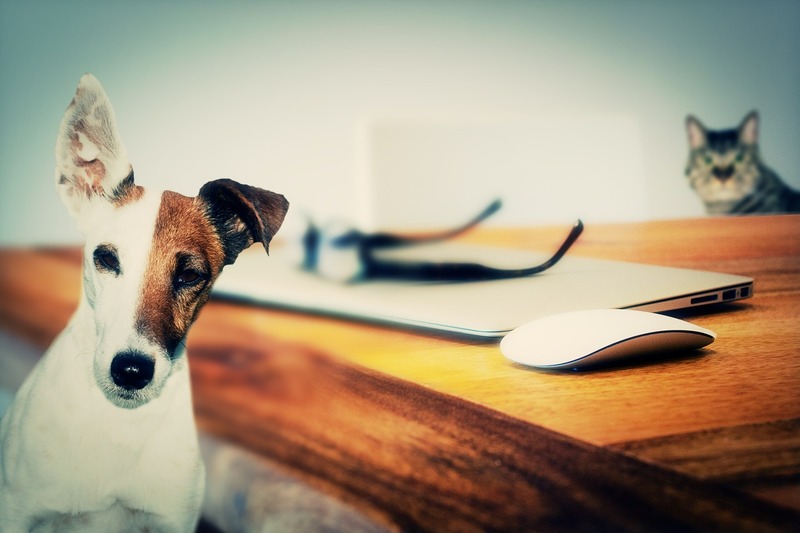 If you own a pet service business, you already know the challenges of marketing. 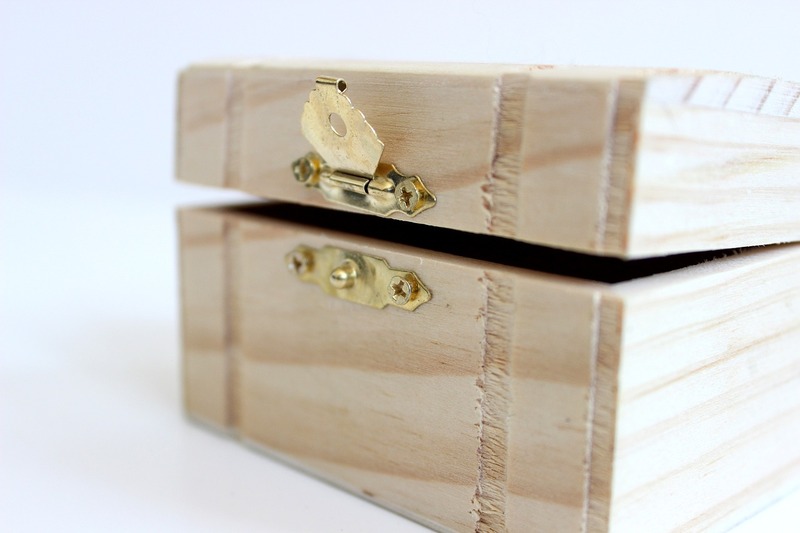 You don’t have a large budget for marketing, and yet your business cannot grow without it. You may be advertising locally because that’s where your customers are. So you may be thinking that, other than a website, digital marketing is not for you. Nothing could be further from the truth. You can create great content and grow both a following and your customer base. You have expertise in your niche, and there are people who want the information you have to give them. You also probably have humorous and poignant stories to tell. 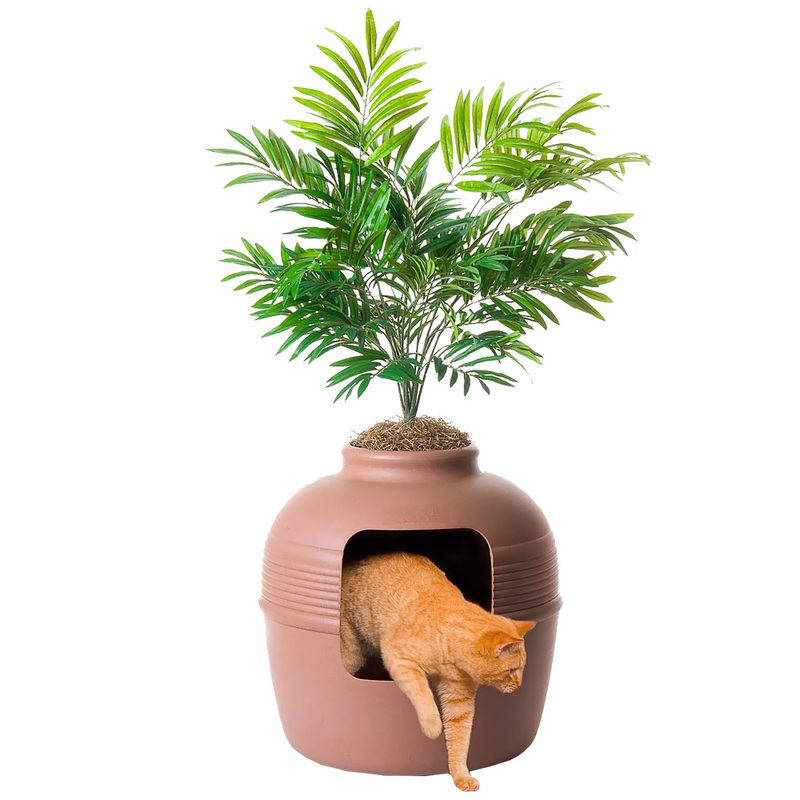 Pet parents love these (just think about how popular cat pictures have become on social media). While this is a long-term marketing strategy, you will gradually get a following that will share your stories with their friends and family. Also, if your business is selling products, this is definitely a method for spreading your brand. Of course, you have to like to write, and you have to get a bit creative. Even if you are not, there are inexpensive content writers you can use to create those blog posts. Some writing agencies, like Canada Writers or Get Good Grade, for example, have entire departments that focus on content writing; you can also hire independent freelancers through sites like Upwork or Fivver. 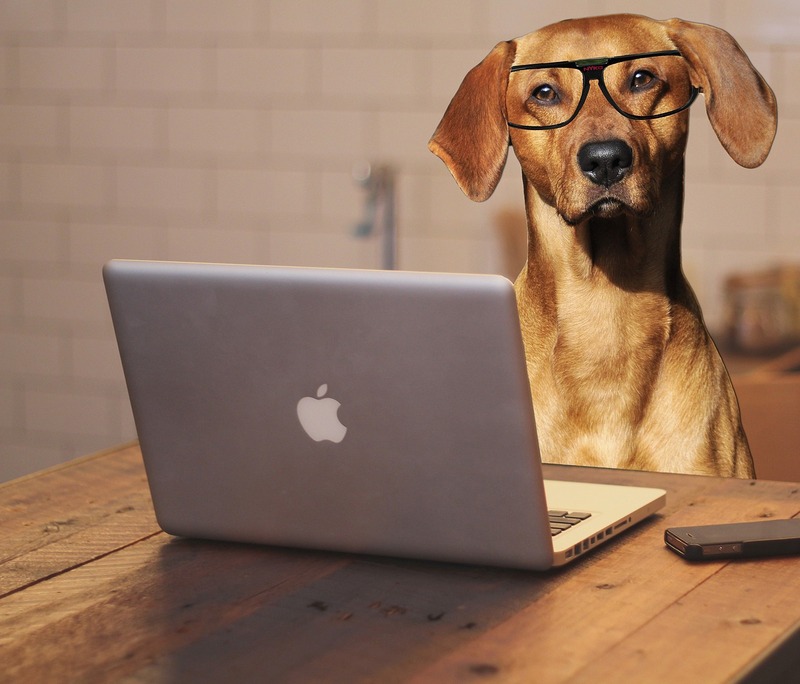 There’s no doubt that many pet business owners have such a passion for their companies and clients. Also, they have amazing stuff to share with their audiences. The key is presenting that information in such creative and intriguing ways that readers cannot resist. 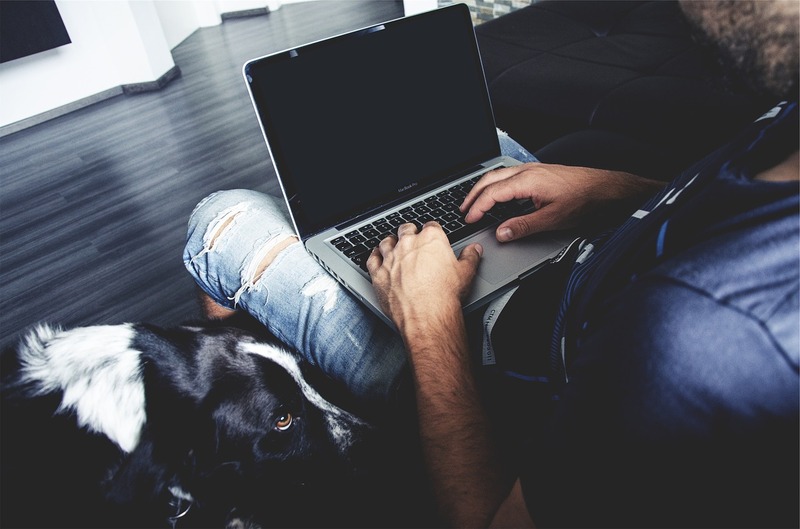 An email is a powerful tool for both nurturing new customers and taking care of loyal ones. 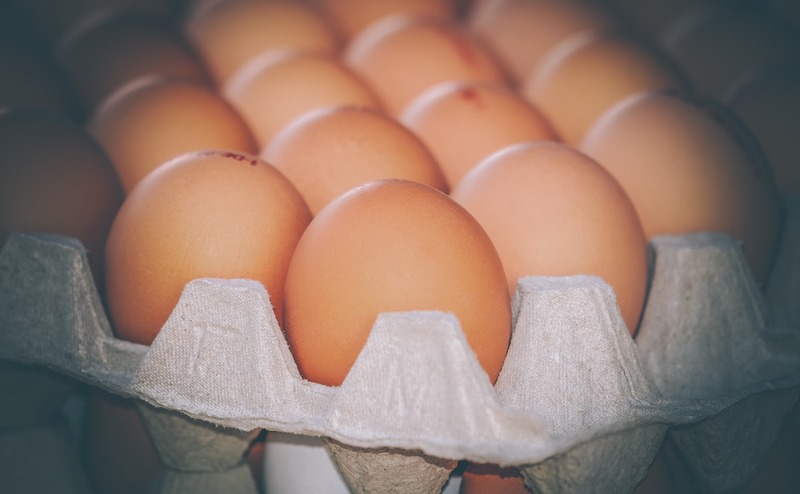 You want to grow your email list slowly (no spamming). Over time, you will want to segment that list of subscribers according to where they are in their “journeys” with you – potential customers, those who buy your products or use your services regularly, and those who have only been periodic customers. You have different messages for each of these groups, so craft emails that they will find personally valuable. So many people think that email marketing is ‘dead.’ In fact, it has a high return on investment. The key is to segment out those audiences, to craft amazing subject lines, and then to deliver what you promise in those subject lines. You want to thank new customers; you want to offer loyal customers discounts; you want to motivate potential customers with special deals. There are some great free and inexpensive tools and services you can use to segment your audiences and to schedule regular emails to them, based upon their “journeys.” Even if your customer base is entirely local, email is powerful. In fact, email gives a great opportunity to send personalized messages to multiple clients at one time. You can also use text messaging to personalize your messages even more, and yet this can be somewhat automated. You have an amazing advantage here. People love animal photos, videos, and stories. Use these on your social media accounts. 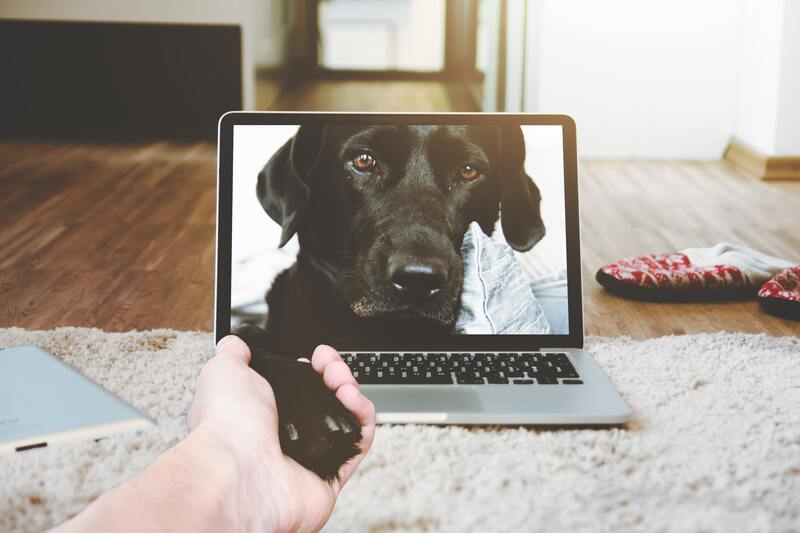 Tell your stories; solicit photos, stories, and videos from others; run contests for a free product or service; create quizzes and surveys for pet owners – when they get involved, they are more connected to you. Give incentives for your current followers to share your posts – something free or a great discount, etc. Don’t use social media to sell. Use it to develop connections and relationships; use it to entertain and inspire. These things will keep people coming back to your page – they want to see what you are going to post next. Of course, you can stick in special sales, etc. and certainly link to your website. However, the primary focus should be on what the reader/viewer wants, not what you want to sell. If you want to take your business in an exciting new direction, there’s no better destination to head to tradeshows and pet product exhibitions. The great thing about these kinds of events is that they put you in front of the eyes of a captive audience that’s already sold on the idea of getting new pet products that care for their dogs, and other pets. That means all you need to do is catch the eye of the passing trade, and then convince them that what you offer is more than worth parting with their money. The secret to success at tradeshows is to sign up and register early, and don’t be afraid of paying a premium for the best pitch in the exhibition center. When you sign up early, you’ll have lots more time than your competitors to showcase the fact that you’re going to be attending. This will create a buzz around your brand, and show everyone who comes into contact with your content that you’re clearly going places. Paying a little extra for a great stand location is also really important. You might think that by being right by the entrance you’ll catch the eye of everyone, but how many people spend all their time by the door? As it gets busy, people will head to the center, which is where you need to be if you want to show them how you help pets stay healthy. 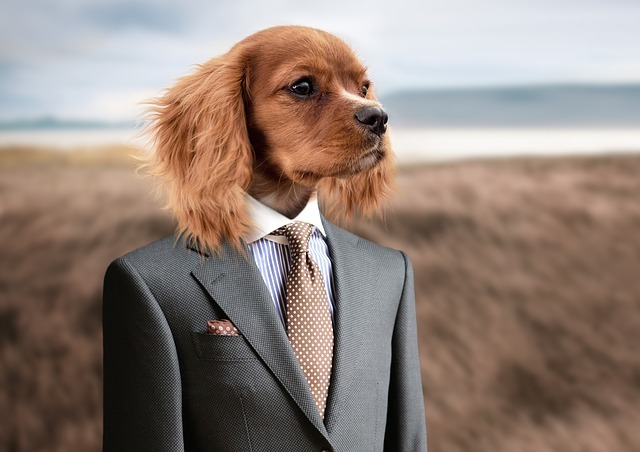 If you’re confident, outgoing, and assured, then you’ll have no problem showcasing your pet business to the very people you want to do business with. Come up with some eye-catching promotional ideas such as free pens and key rings, flyers, and even some free grooming tips. You could also get you and your team some matching polo shirts so that it’s clear you’re the people the crowds need to come and speak to. Pet owners are one of the demographics who still buy printed magazines in their droves, so make the most of this fantastic opportunity. Getting your business featured in one of the big pet magazines is a great way to introduce your offering to a whole new audience that’s already in the market for exactly the kinds of pet products and treats you sell. 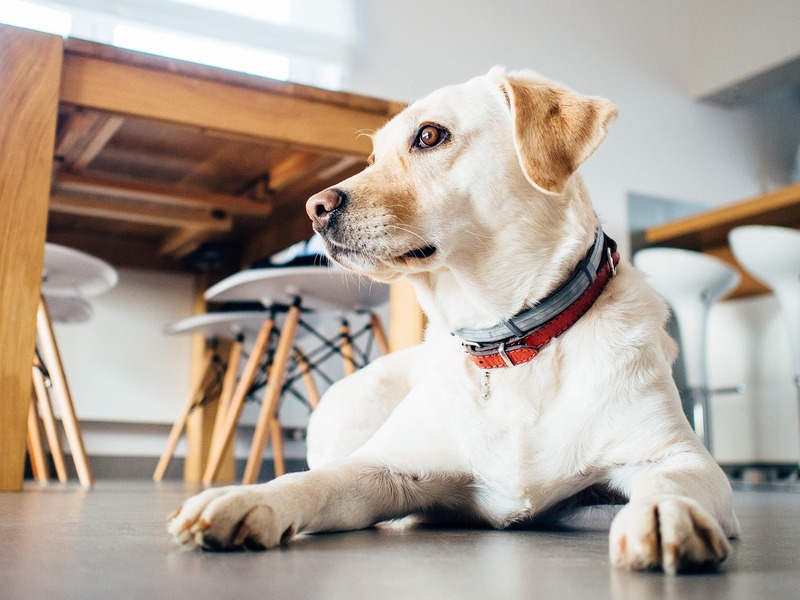 Ideal if you want to take your pet business to new heights by connecting with thousands of your ideal customers. 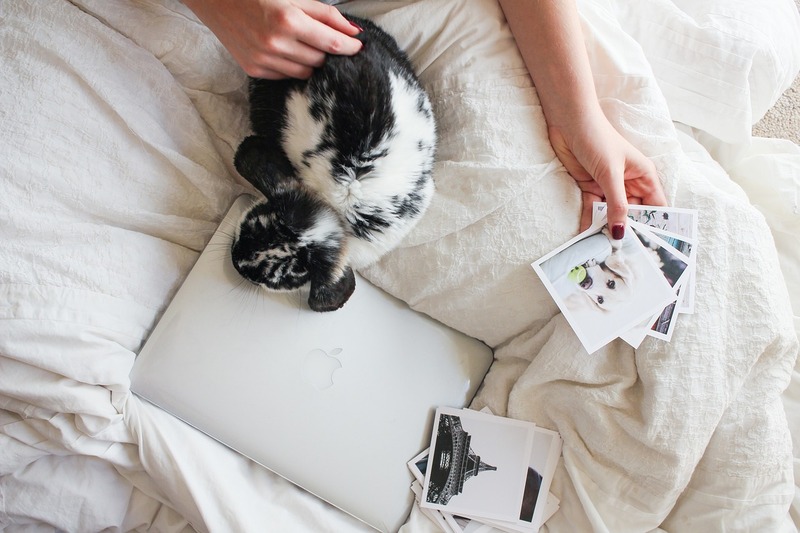 Just as magazines are widely read by the animal-loving community, websites are just the same. Getting yourself featured on a major website will not only get you seen by a vast new audience, but it will also work wonders for your SEO. 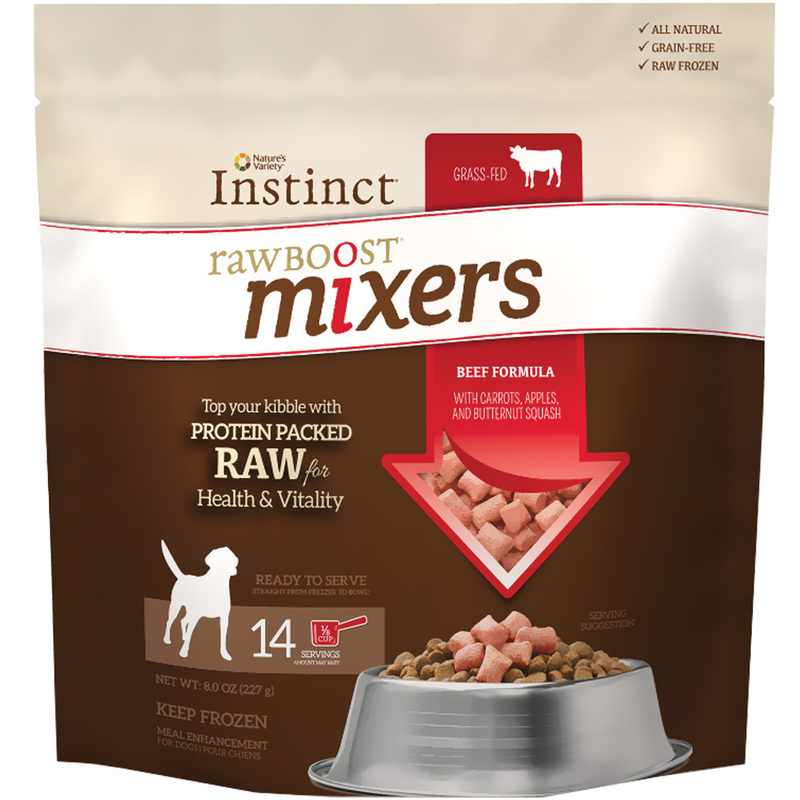 Just what you want when you’re looking to bring more eyes in the direction of your latest training treats. The secret is to offer the editor something unique that they won’t be able to resist printing. You could showcase a new product they won’t have ever seen before, help create a lifestyle piece that subtly drops in your products, or runs something about how you’ve discovered a niche no one has thought of before. It’s all about getting your business out there and being proud of what you’ve achieved. So, with that in mind, you don’t want to limit yourself by deciding that you can’t do something. Your business meets the needs of your consumers, so get out there and make it happen. Editors will love your positivity and find it virtually impossible not to feature you in their next issue or round of content creation. 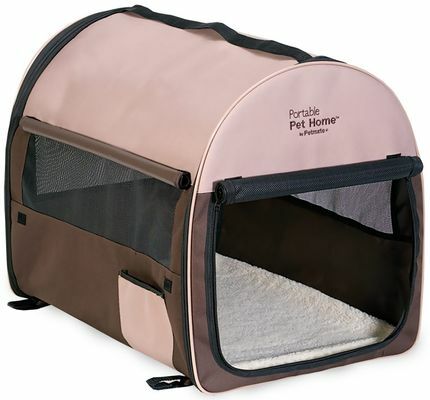 Pet parents are dedicated to their little critters. They want to pamper them and to find products and services that will do just that. You have a business that meets some of those needs. It’s a matter of making the connections. When you choose to use content marketing, you are choosing a low-budget method of reaching out to your audience, serving it well, and increasing your revenue at the same time. Be creative and useful to your clients, and you’ll be rewarded with the increased number of customers and orders. Natalie Andersen is an editorial writer and enthusiastic blogger. She believes that everyone’s life has to be the result of the choices they make, but a helping hand is always welcomed. You can connect with Natalie on LinkedIn or Twitter. 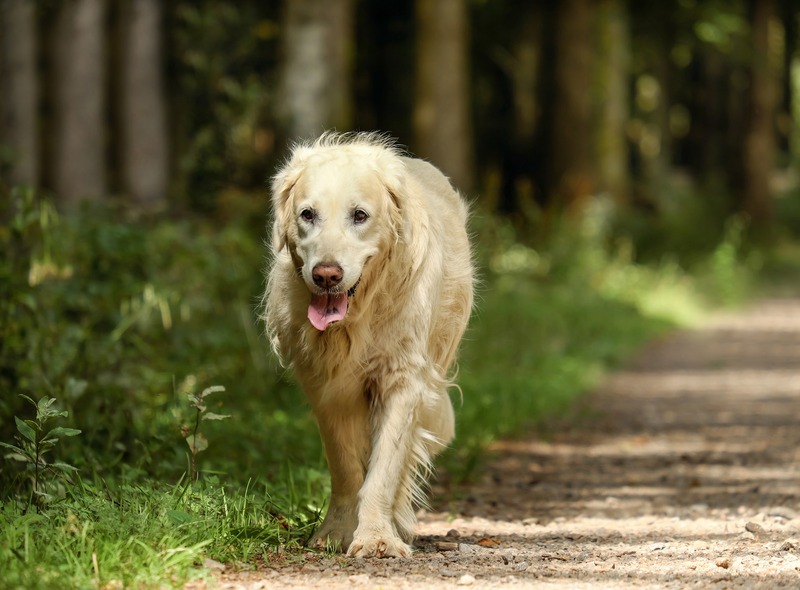 There are many reasons why dogs itch or scratch compulsively. Dogs itching is actually a normal habit of dogs, but it can also be injurious to them. 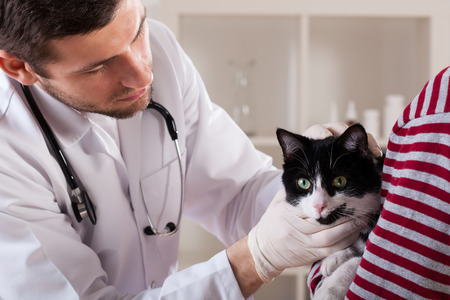 One of the first indications that your loving pet has a complication might be the growth of a hot spot. A hot spot is also known as acute moist dermatitis is an irritated, a wet and red area that appears from constant itching, scratching, chewing, or licking. It can be found often on your dog’s head, hips, or chest, however, it can also occur anywhere on their body. Dogs constantly itch, lick, or bite at a part once it begins inflamed that is why hot spots become quickly big and painful. Allergies, parasites, and dry skin are the three main reasons why your dogs are uncontrollably itching, scratching, or licking themselves. Dogs itching gets out of hand frequently result of allergies to environmental triggers or the food they eat. They may also get an irritation to their skin called contact dermatitis when they come into contact with substances like soap or pesticides. 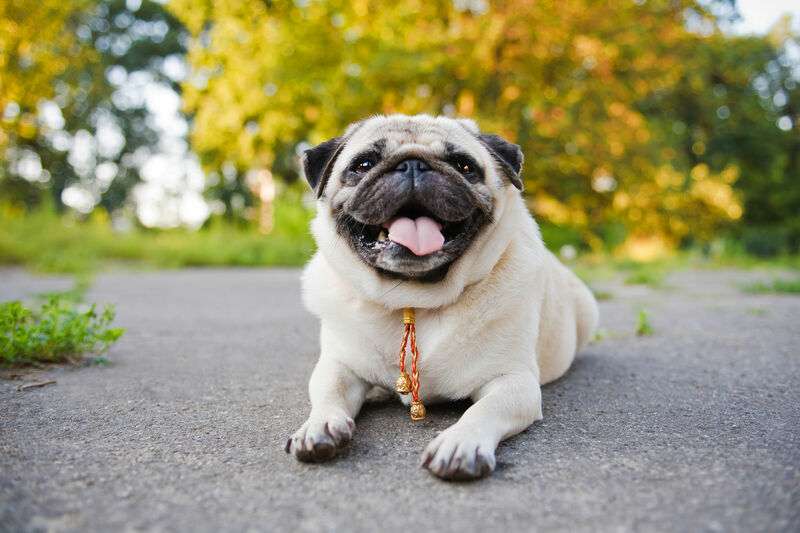 Fleas, ticks, and mites are the most usual reasons for uncontrollable scratching, licking, or chewing of your dogs. 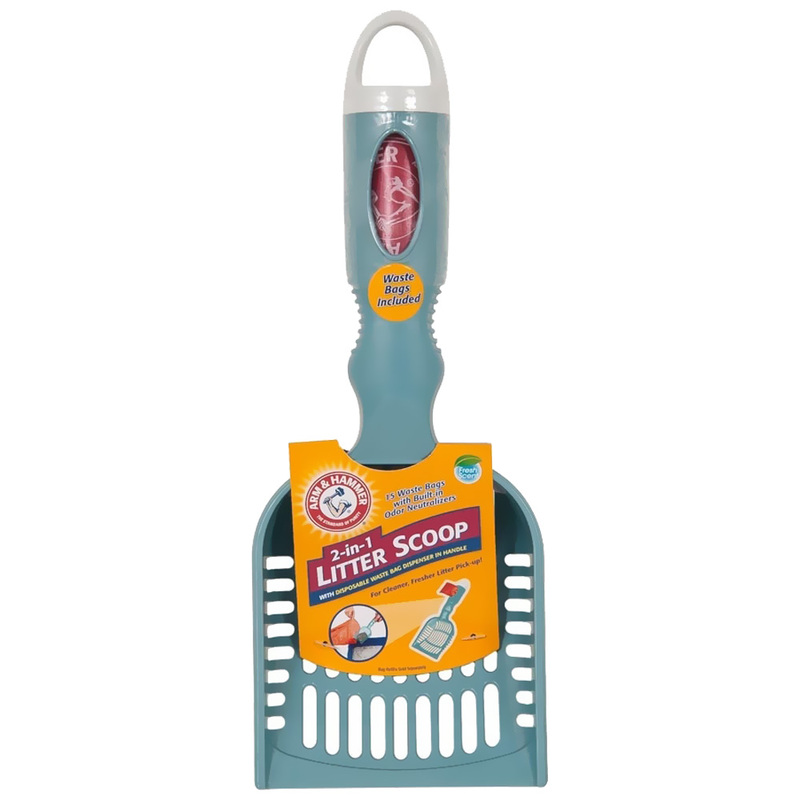 Even though ticks can be easily seen by our naked eyes, fleas are usually hidden in gardens and can’t be seen until there is an immense infestation, and mites are invisible to the naked eye. Do not presume that your lovable dogs are not experiencing parasites because you cannot see them. 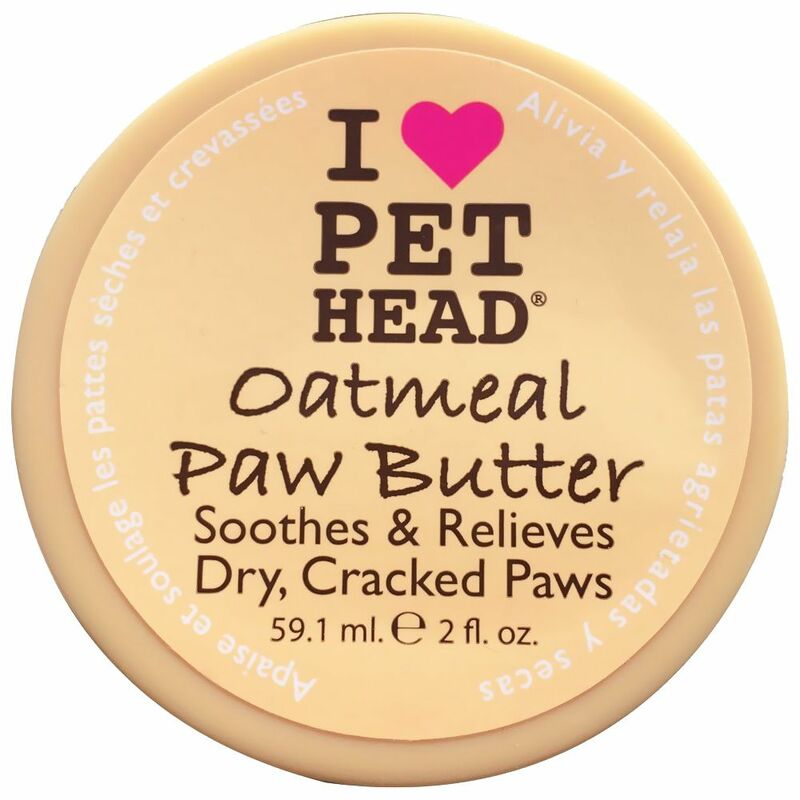 Having dry skin can cause skin irritation also making your best friend scratch compulsively. 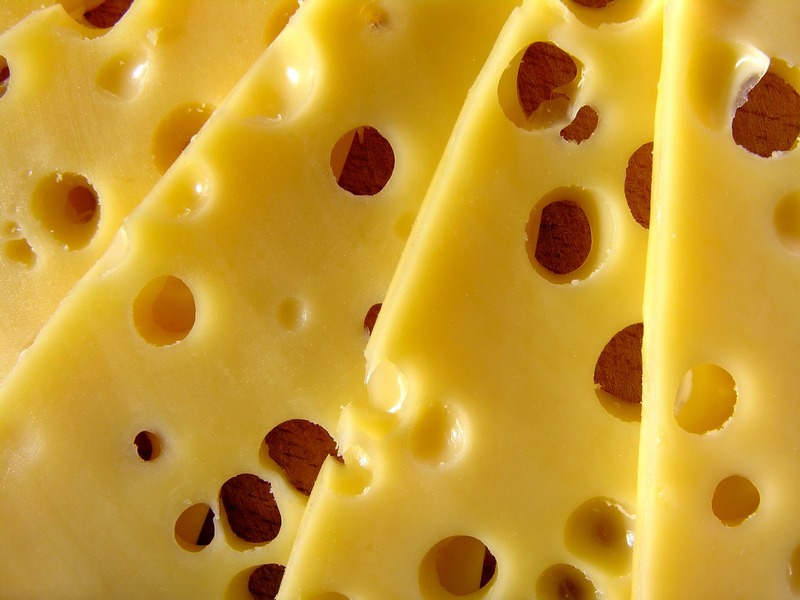 There are kinds of factors, and that includes low humidity and deficiencies of fatty acid. Your dogs may react to the discomfort by itching or licking at their skin coat. Looking at your dog suffer from a scratchy skin is enough to make any animal lover worried or frustrated. 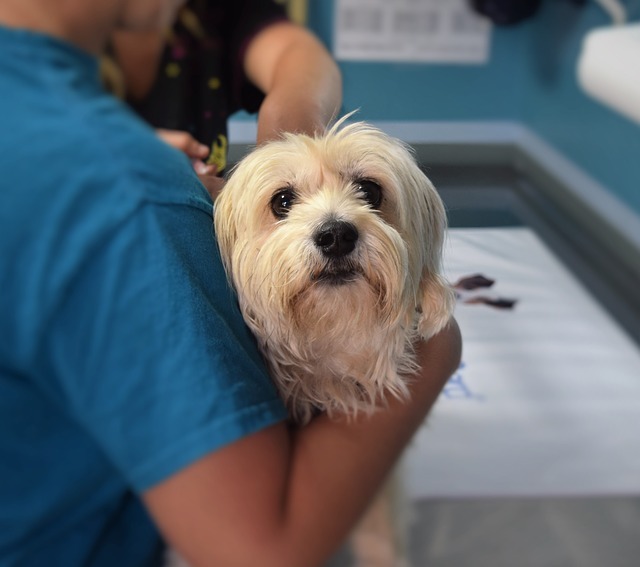 If the problem is new for your dog or has been for a while, then you should know first what is going on to your dog and how you can help them quickly. One way to aid your dog is to use anti-itch dog shampoo. Human shampoo cannot be used on our dogs because the ingredients in it are not suitable for them. Plus, the dog’s pH level is different from us, altering their pH level can cause a number of allergies and illness in animals. Anti-itch dog shampoo can help stop your dogs from itching or scratching their skin coat. 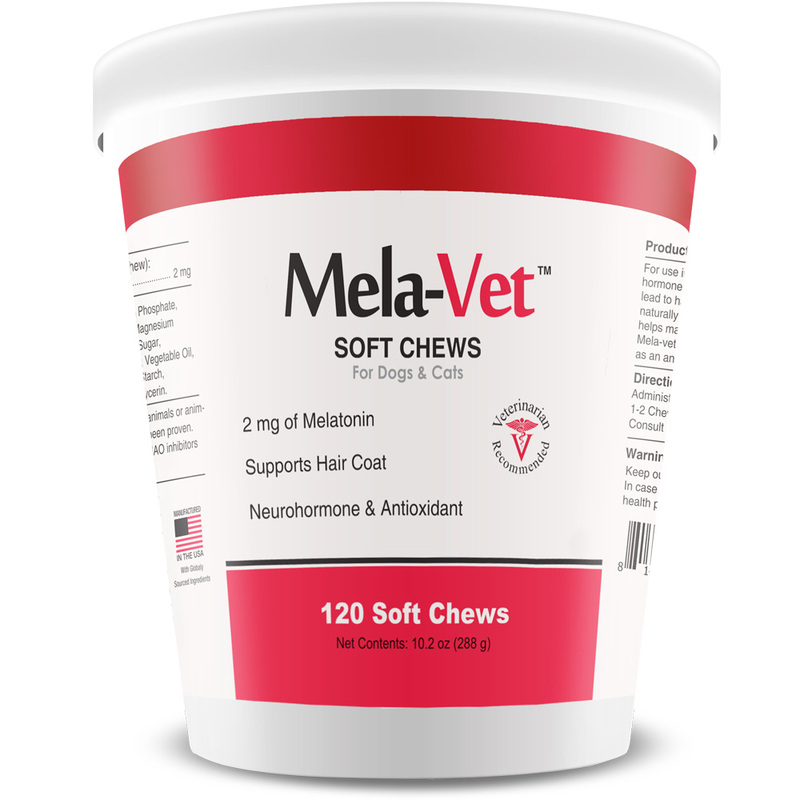 This is made from a gentle formula that is best suited for dogs. This kind of shampoo also works on sensitive and dry skin to reduce or stop dogs itching and hot spots. 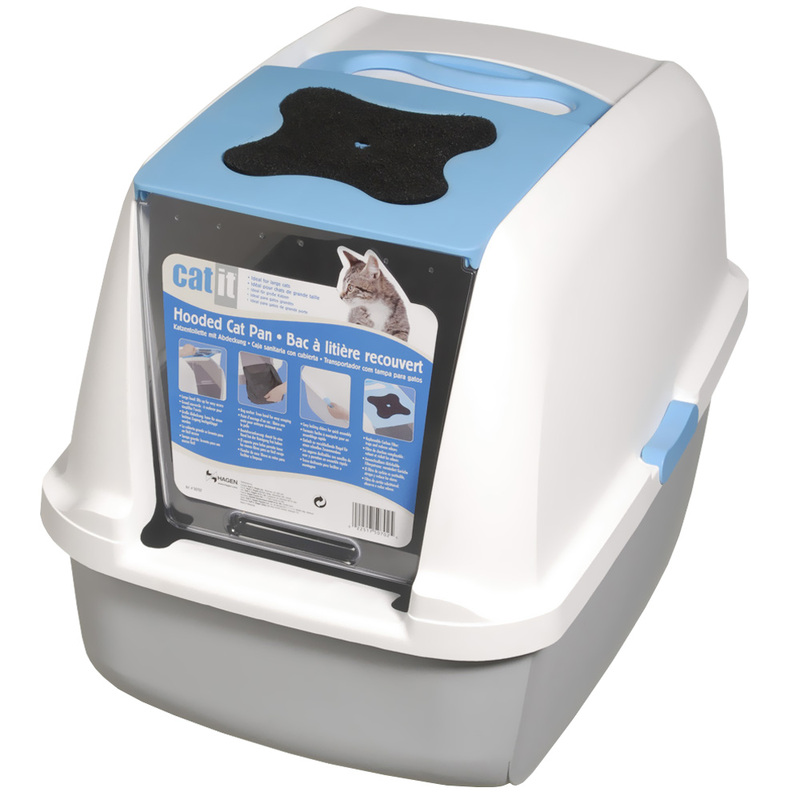 Your best friend deserves the right care and the first to in giving it is keeping their hygiene at a great level. Our dog still needs bathing to help them remain clean and well, even though they know how to clean themselves to some length. Bathing them takes away odor and dirt in their skin coat, and this is important if your dog is experiencing inflamed and infected skin and damaged hairs. 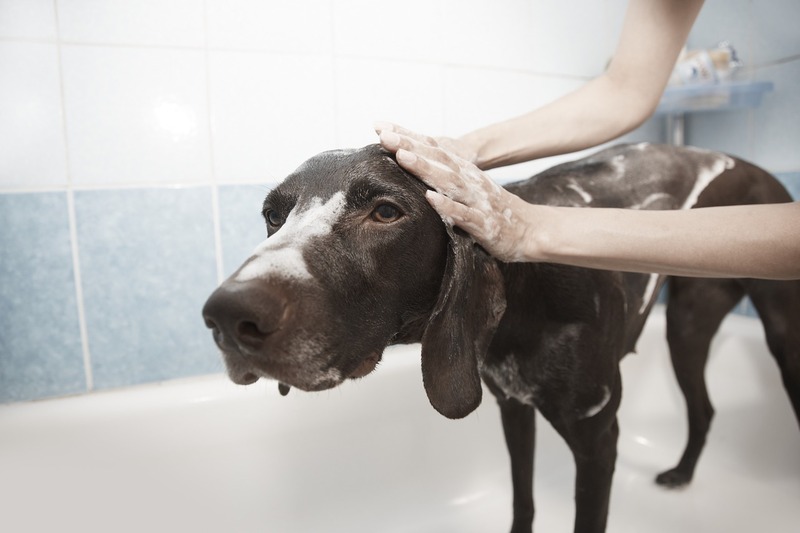 In order to fight bacteria and dirt, you should have the best anti-itch dog shampoo. 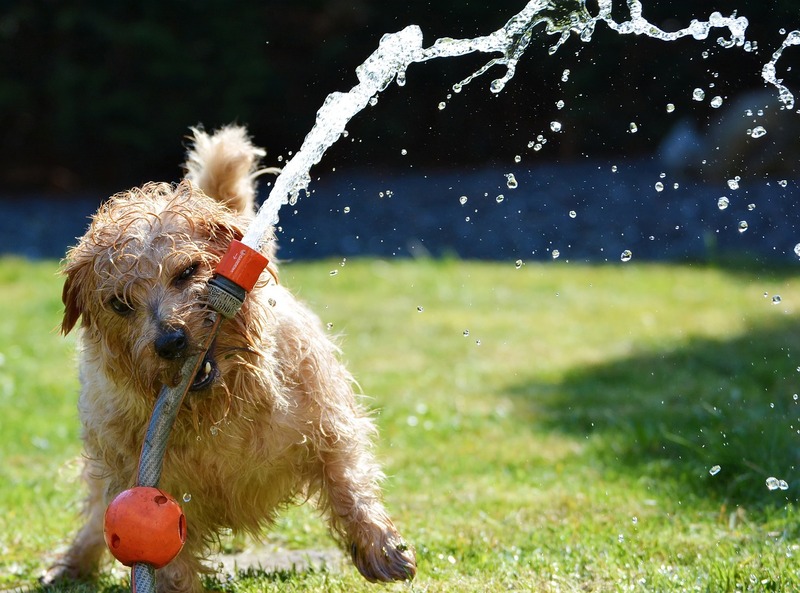 There are a lot of Dog Shampoo in the market and with many choices out there, picking the perfect one can be hard. We have listed some the best anti-itch dog shampoo that you can try to aid your dog from their compulsive scratching. If you are looking for a good quality hypoallergenic dog shampoo, then you should try this one. 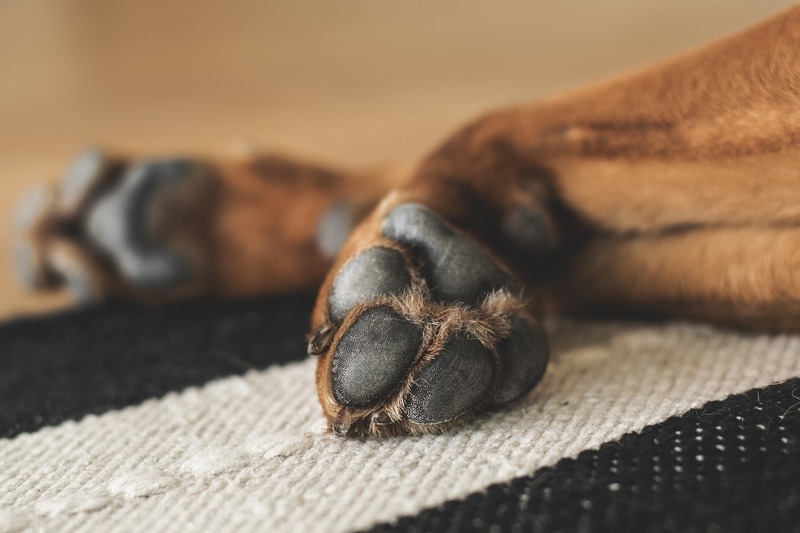 Aloe Vera, Almond Oil, and Vitamins A, D, and E are some of the active ingredients of Pro Pet Works, making it suitable for sensitive, dry, and itchy skin. 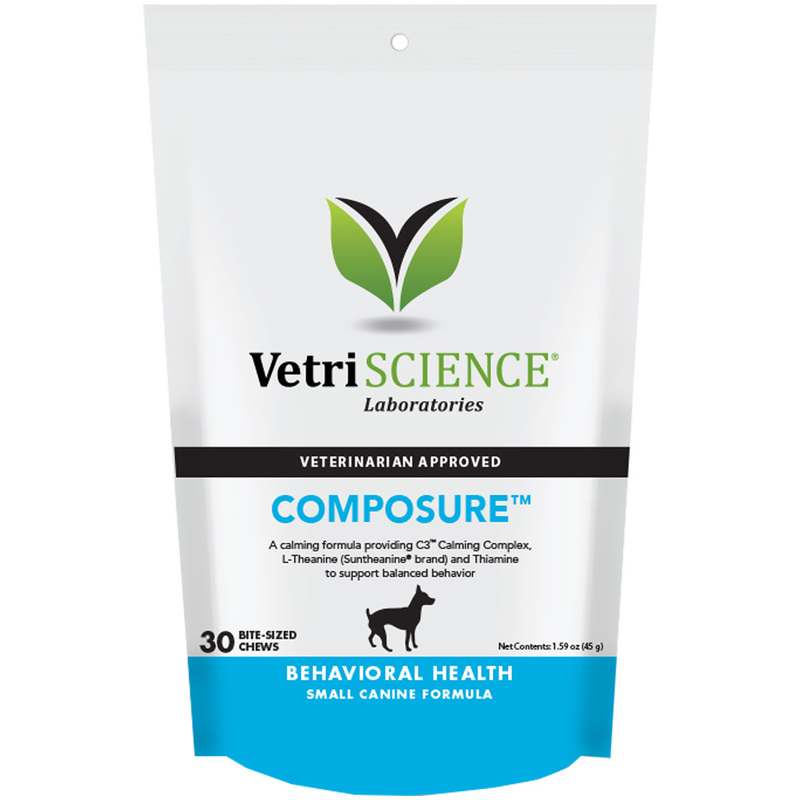 It also formulated to give the needs of dogs who are allergic to grass, food, and flea bites. This not only cleanse your dog’s hair coat but it also conditions it for that smooth and shiny fur. 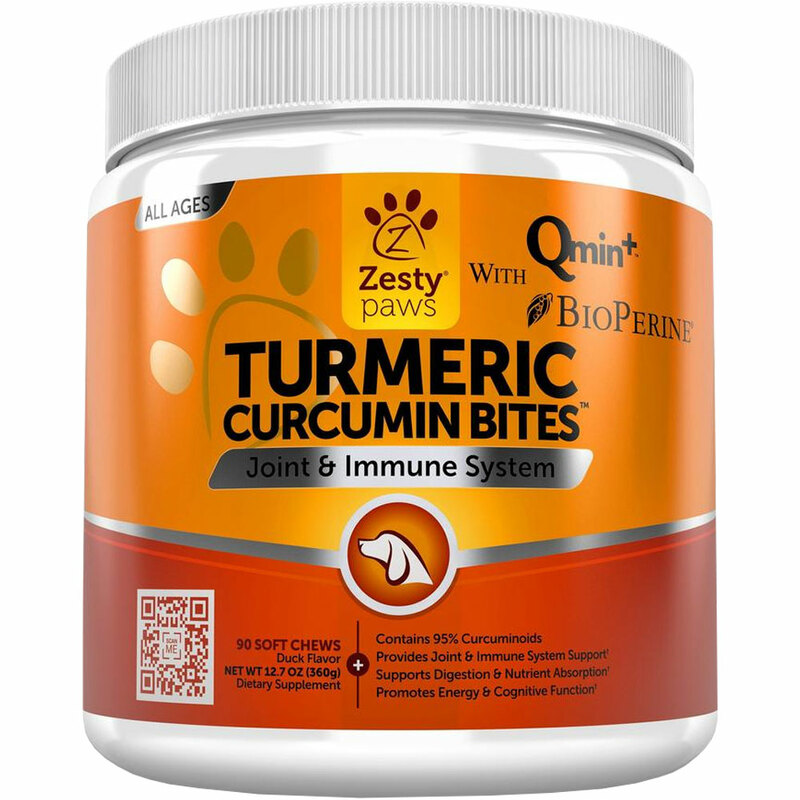 It is specially formulated for dogs with sensitive and dry skin, so it perfectly works to relieve dog itching or scratching. The shampoo has no alcohol, added colors, and fragrance. 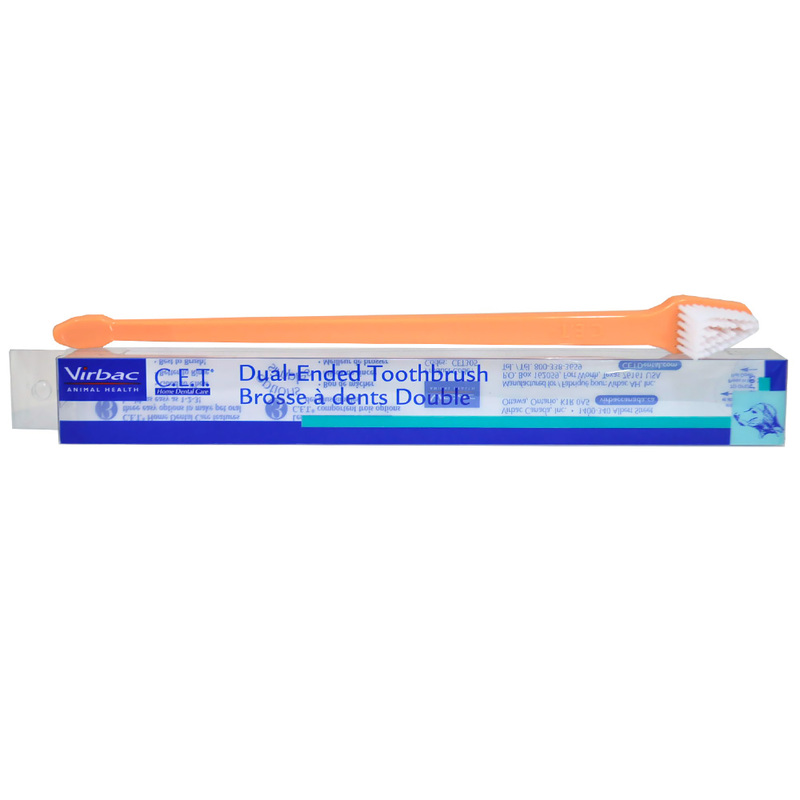 It only contains all-natural ingredients, plus it is soap-free and pH balanced. Jax n Daisy shampoo has natural ingredients such as Lavender, Witch Hazel, Lemon Oil, and Rosemary. They are also combined with the carrier oils of Avocado, Grapeseed, and Hempseed providing calm to irritated skin. 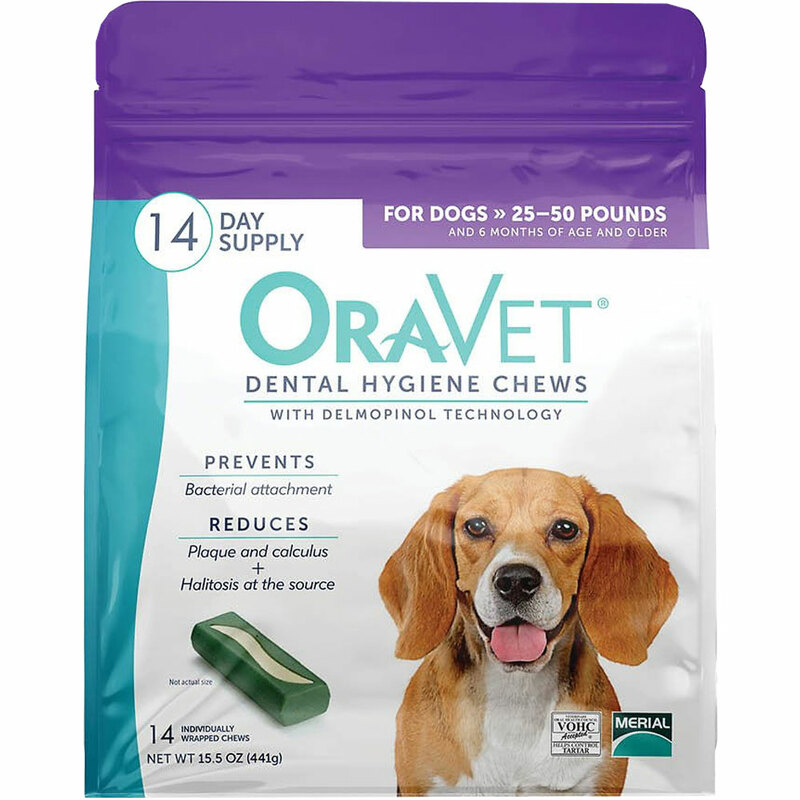 It is an antifungal, antiseptic, and antibacterial shampoo that is perfectly suited for dogs with dermatitis caused by dry skin, parasites, and allergies. This is also a good shampoo to get rid of dandruff, hot spots, red itchy skin, and rashes. 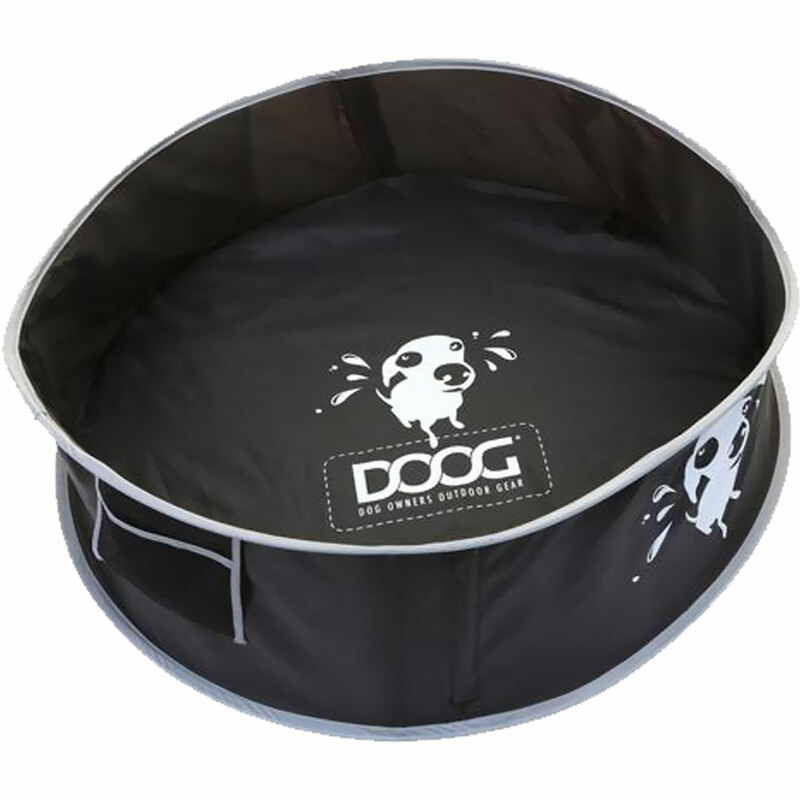 It is specially formulated to clean your dog’s skin without drying it while leaving their hair shiny and smooth. 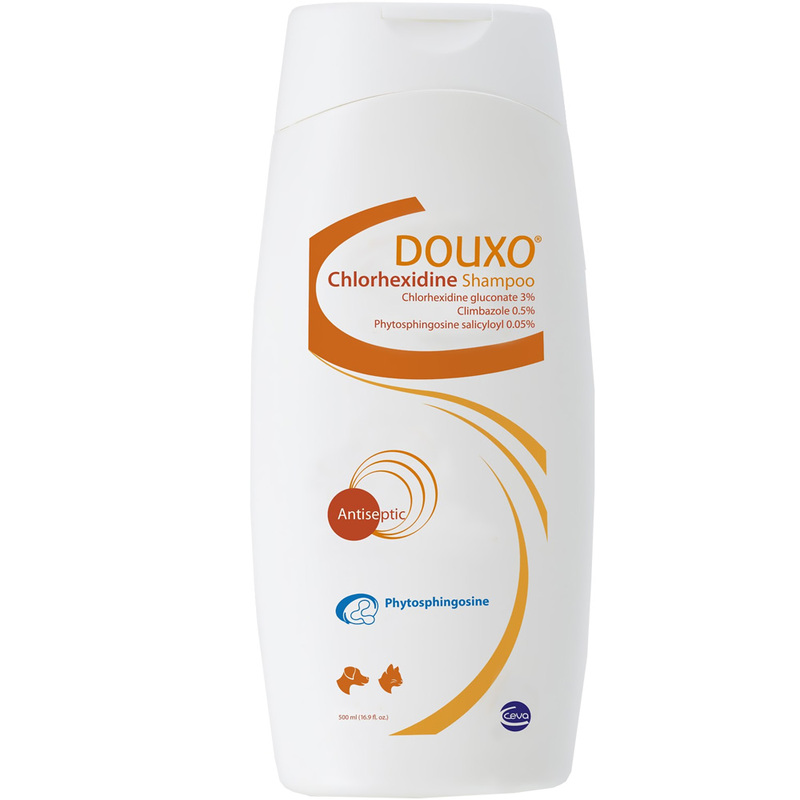 This shampoo is a top choice for that maximum care for your dog’s sensitive coat and skin. It is specially formulated with oatmeal and Aloe Vera that are all effective in providing to the needs of dry skin. 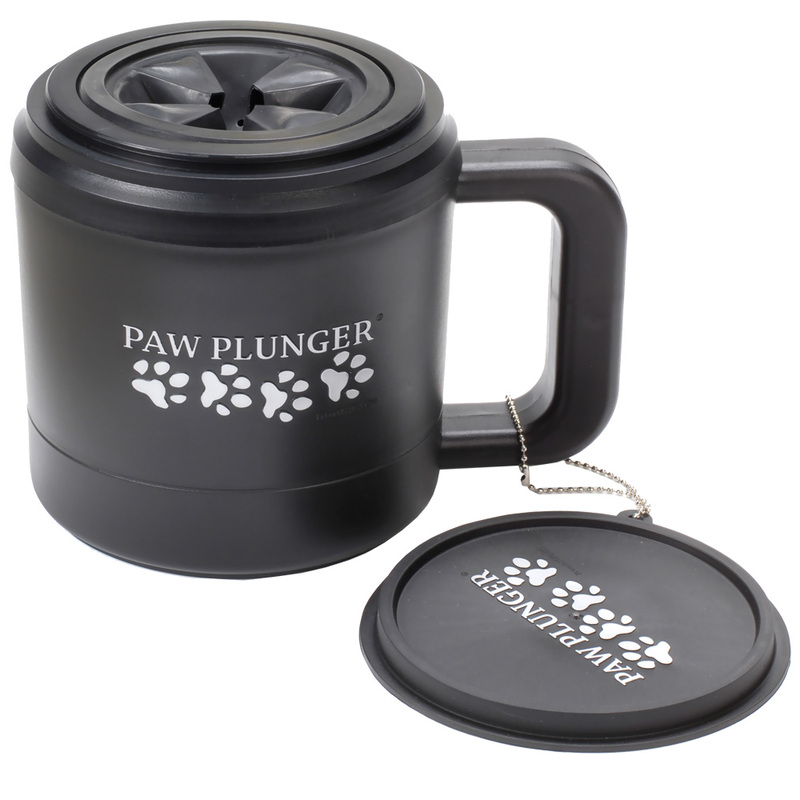 This is also great for relieving dogs who are suffering from allergies and itch while making their fur smells good and soft. 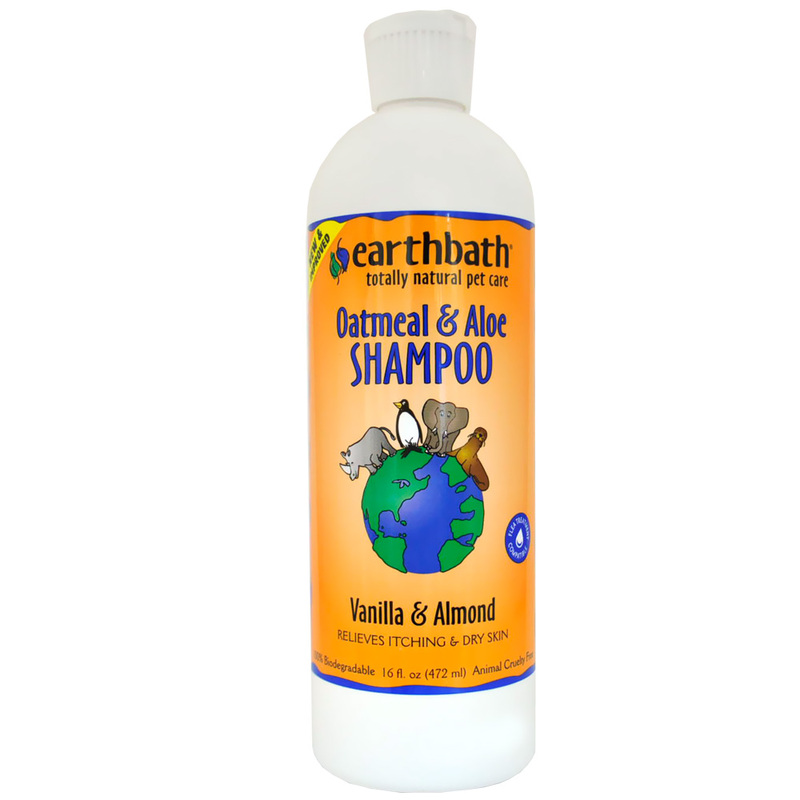 Earthbath All Natural Pet Shampoo is perfect for all kinds of skin because it has a gentle effect on the coat and the skin while removing all the odor and dirt effectively. 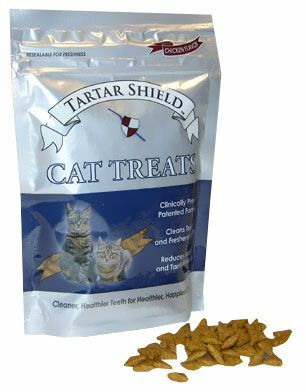 It has a balanced pH and soap-free formula making it safe to use for any kinds of dog skin without any inflammation or irritation. 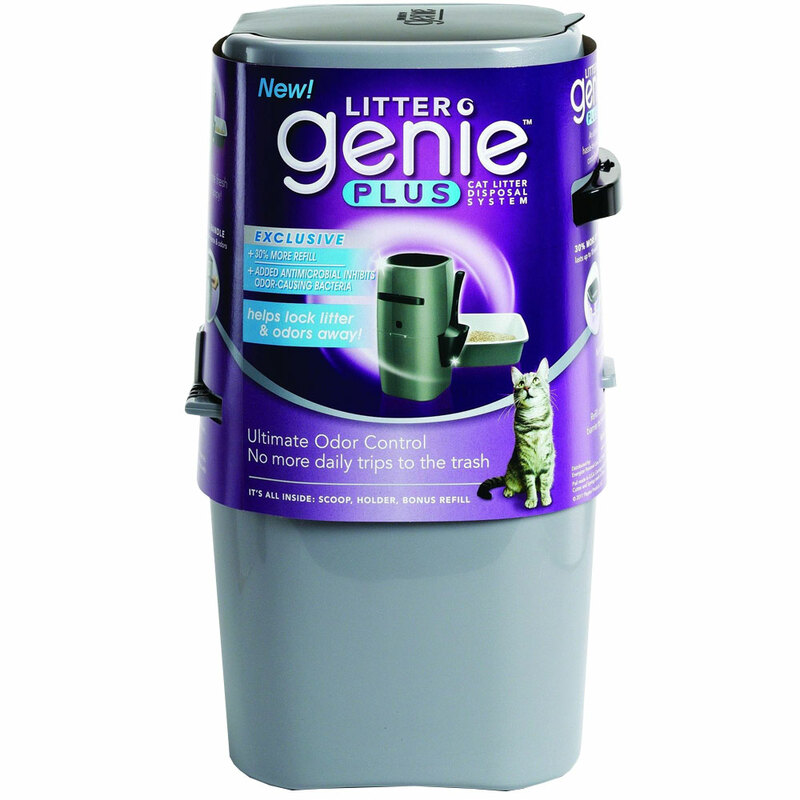 You can choose this one if you are looking for budget-friendly dog itching shampoo. 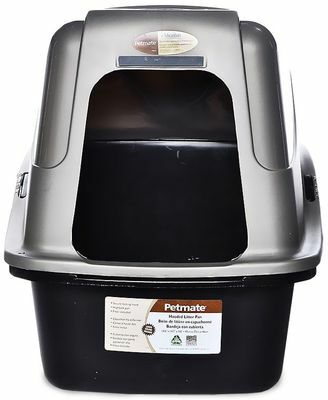 It has a long-lasting scent that refreshes your dogs and keeps them smelling clean and good for weeks. 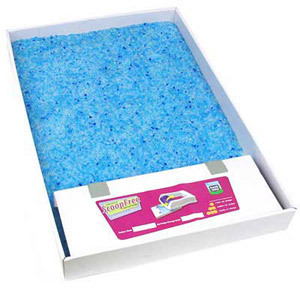 It contains antistatic agents leaving the dog’s coat easily to manage, plus it also helps get rid of tangles and mats. Fresh ‘n Clean Scented Shampoo also has Vitamin E and Aloe Vera which are both effective in keeping the skin coat and hair soft, smooth, and shiny. 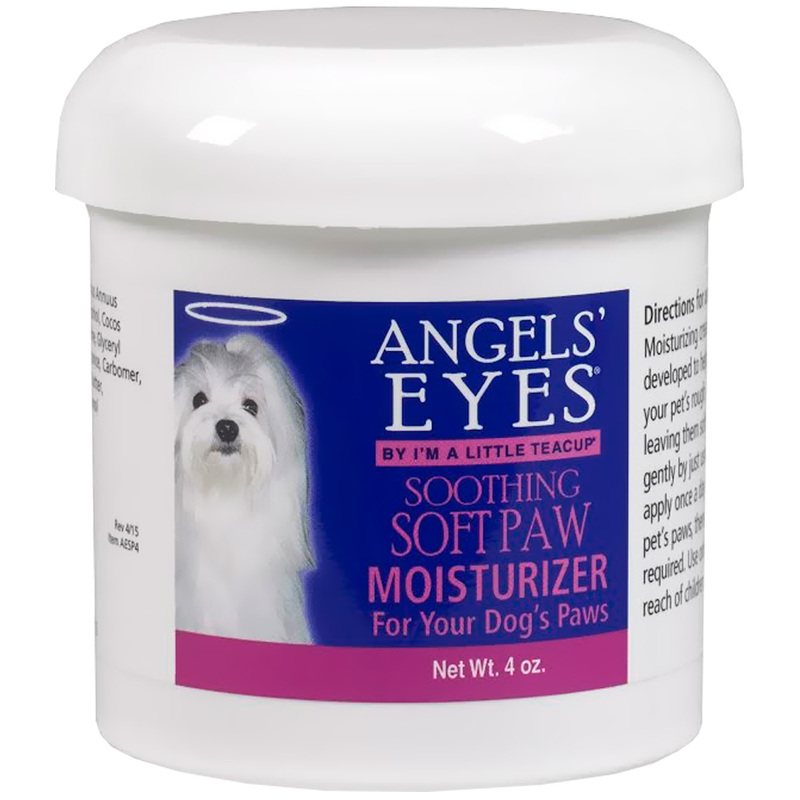 This is perfect for dogs with dry skin and fur. 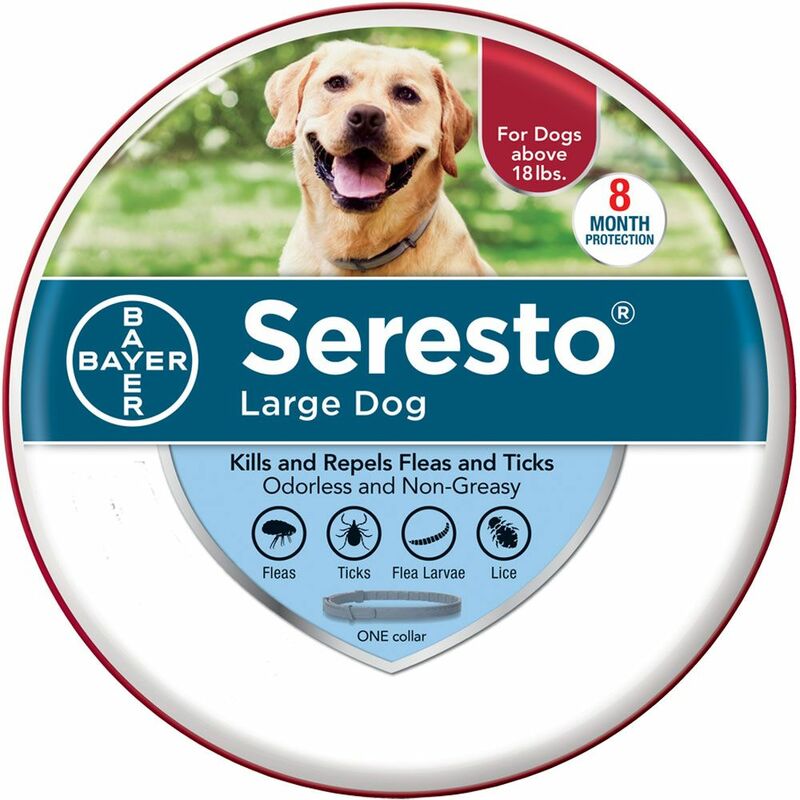 If your dogs are suffering from ticks, mites, and fleas then this one a good choice to help them with this problem. It has cedar oil, mint, and rosemary that naturally drive away all parasites for only a week! 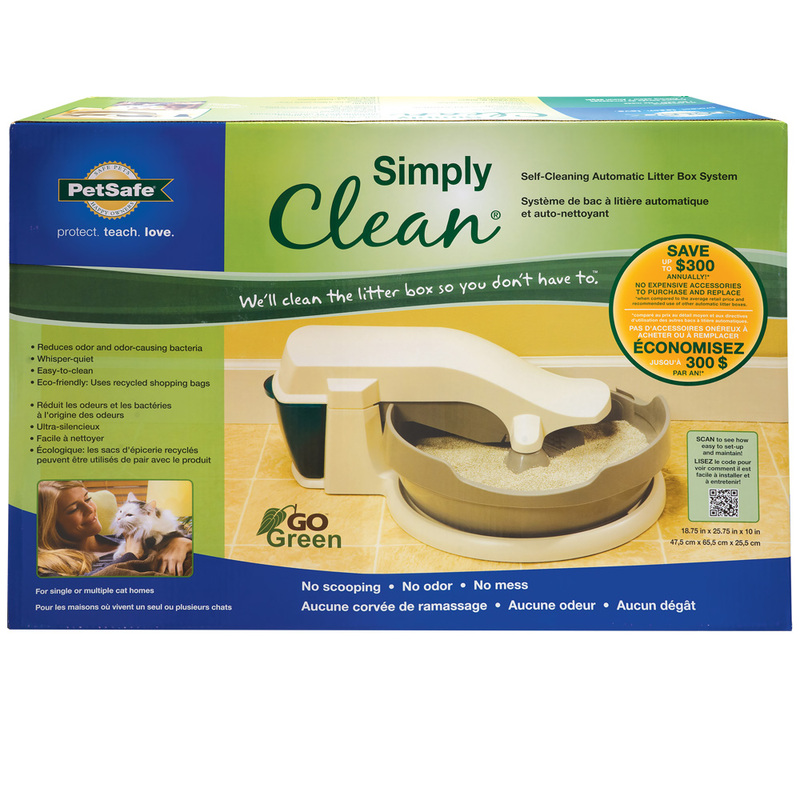 This is perfect for dogs with sensitive skin, and it gives complete cleaning for both the coat and the skin. 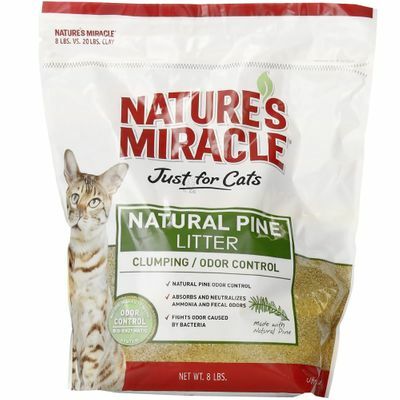 It also restores shine, softness, and provides a fresh smell to their fur. Wahl’s Flea and Tick Dog Shampoo is plant-derived, PEG-80-free, and does not have any toxic chemicals that might inflame your dogs. 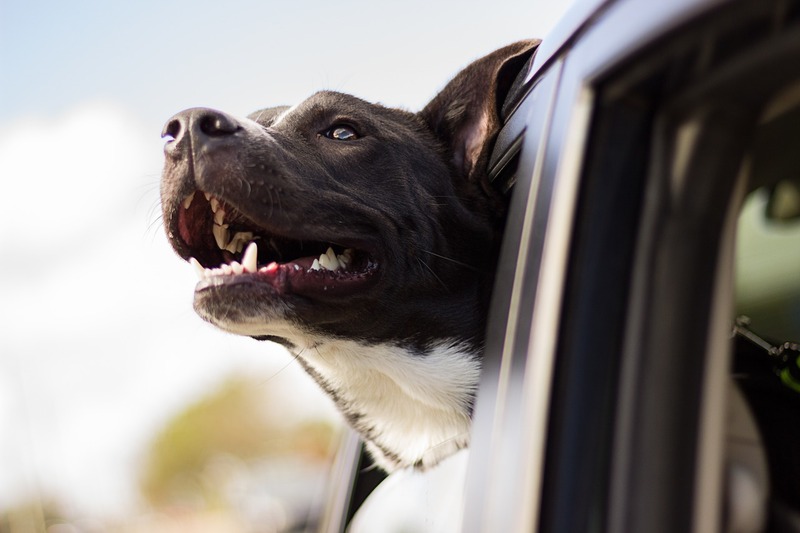 Most reviews say that Wahl’s Flea and Tick Dog Shampoo solves all allergy and itch issues while decreasing uncontrollable shedding aside from its good and fresh smell. 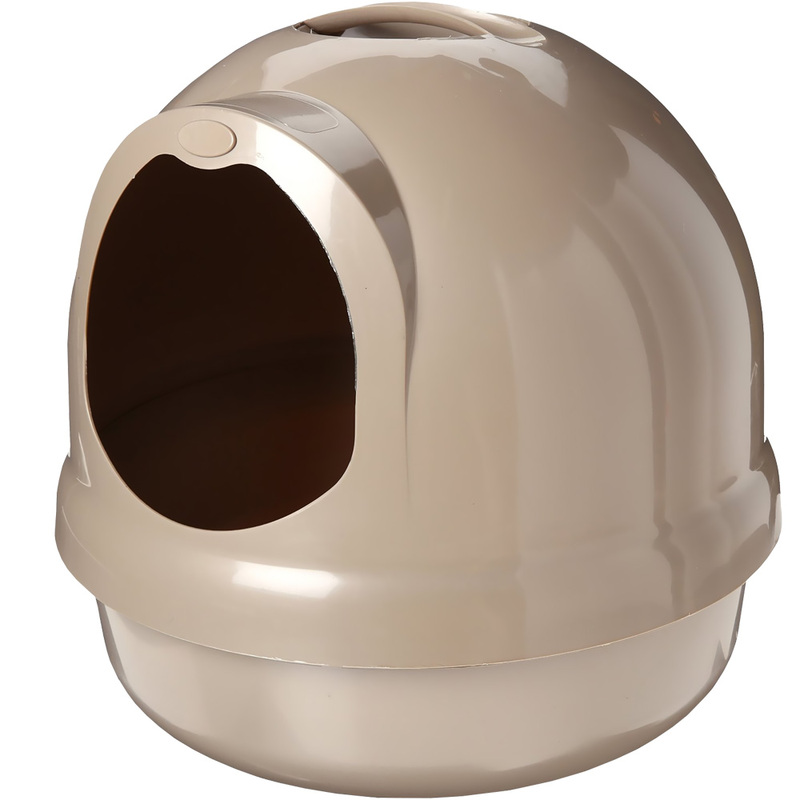 This is specially made to give the needs of your hound with seasonal allergies and sensitive skin. 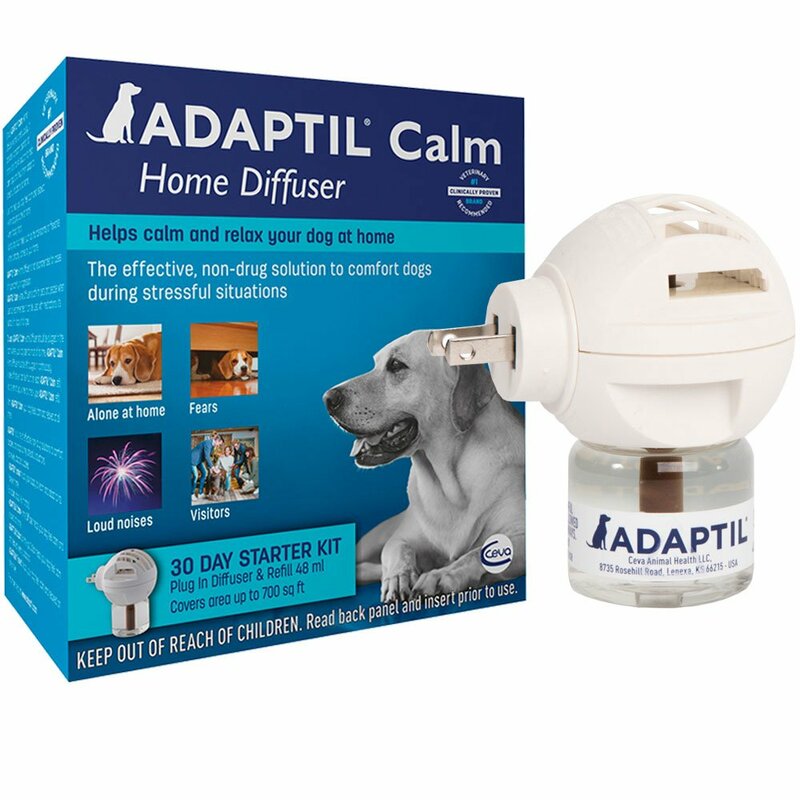 It has essential oils and organic ingredients such as tea tree and oatmeal that aids to hydrate and calm red and irritated dog’s skin. 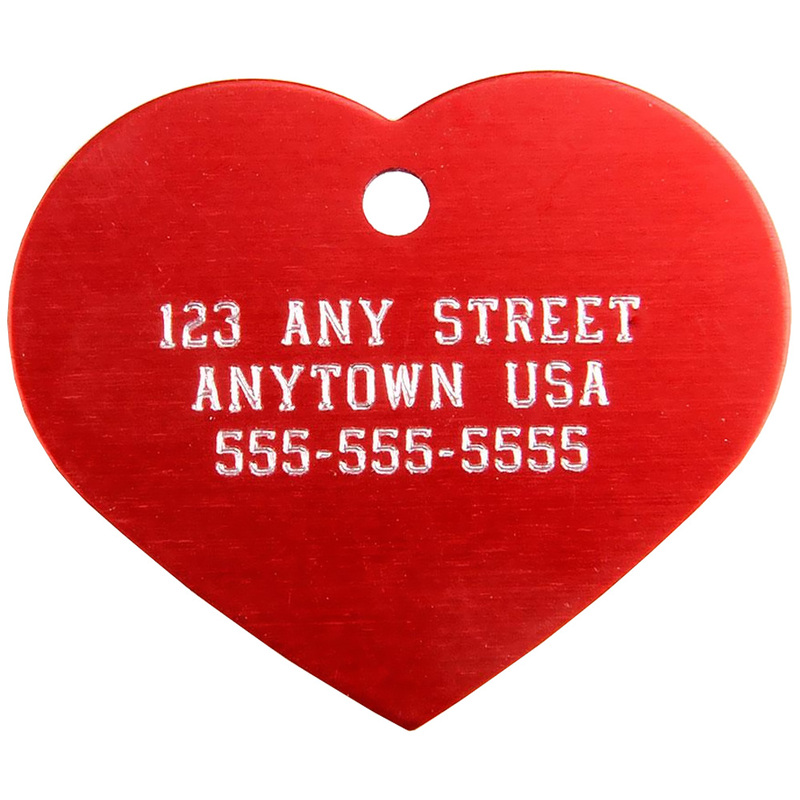 You can use this regularly to your dogs and will not wash off tick and flea applications. 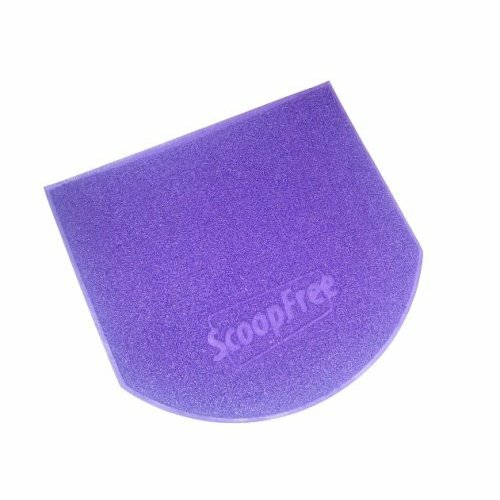 It effectively washes away all allergens, alleviates scratchy skin, conditions your dog’s coat and fur leaving it smooth and fresh all day! When choosing the best anti-itch shampoo, you should determine what is causing their itchy skin. 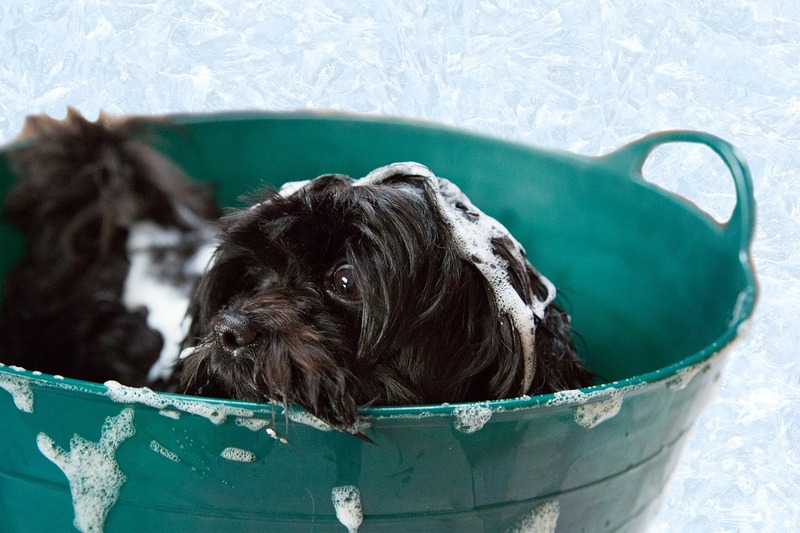 Always take your dog’s separate needs into consideration when choosing the right dog shampoo. There are precise things that you should know for and exact things to stay away from for the best dog shampoo for your dog’s itchy skin. Avoid those dog shampoos that have alcohols, parabens, sulfates, soaps, preservatives, and artificial perfumes and dyes. Make sure that the anti-itch dog shampoo that you are going to purchase has a dermatologically tested formula. There are certain medicated shampoos created for helping itchy skin that is evaluated by veterinarians for your dog’s safety and efficacy. 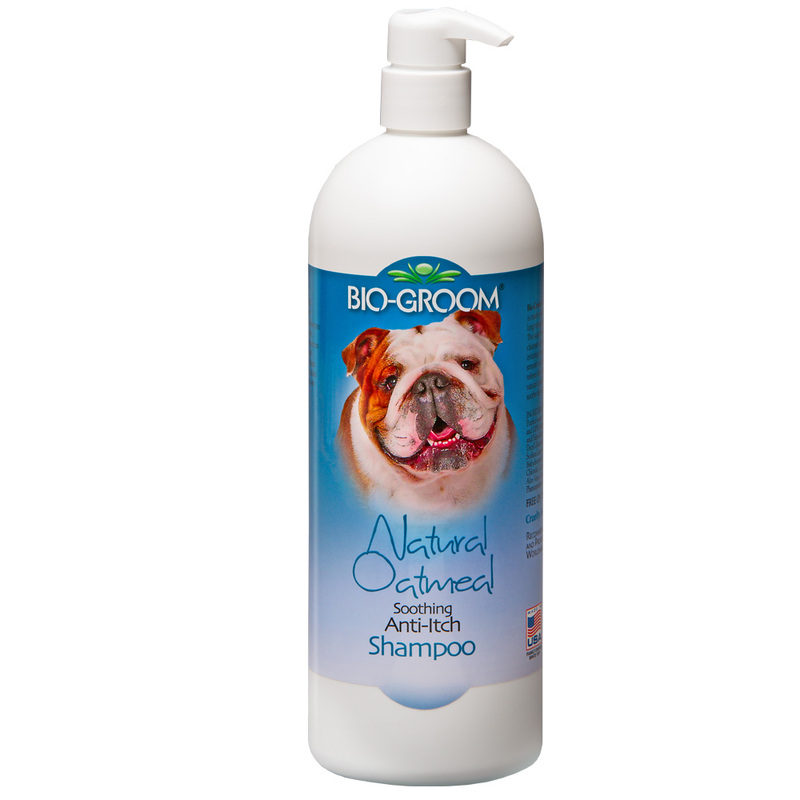 If you are a looking for an anti-itch dog shampoo make sure that it has natural ingredients. Look for a product that utilizes essential oils such as lavender, evening primrose, tea tree oil, and eucalyptus oils. All these natural ingredients can help soothe scratchy or itchy skin. 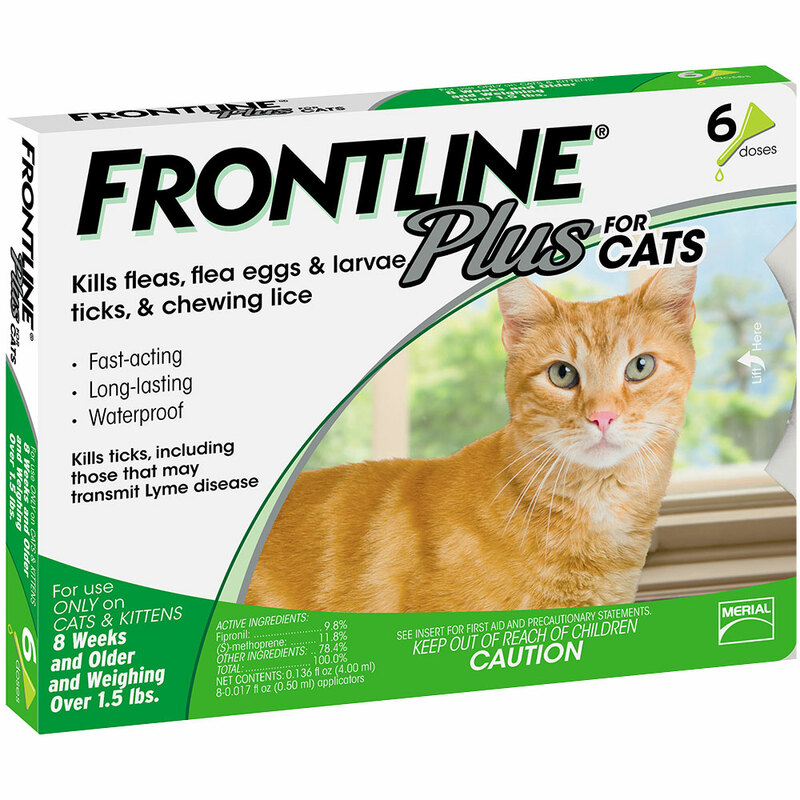 They also fight back against all infections and bacteria in their skin coat. Aside from having antibacterial and antifungal properties, these oils smell awesome too. 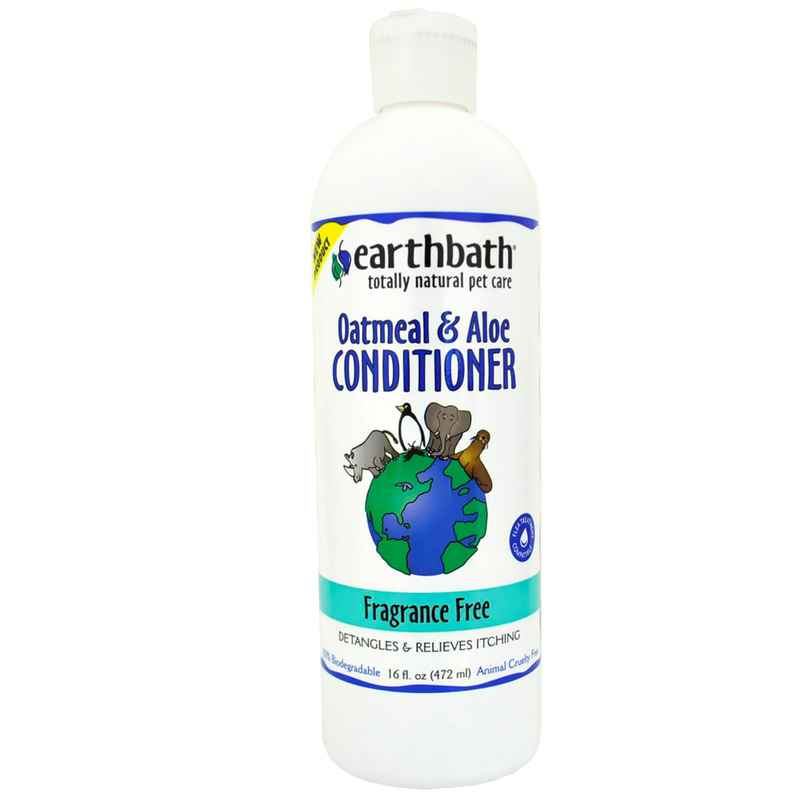 You can also buy dog shampoos that have Aloe Vera, Honey, Oatmeal Shea Butter, Glycerin, Coconut Oil, and Vitamins A and E because these ingredients provide moisturizing and nourishment results. 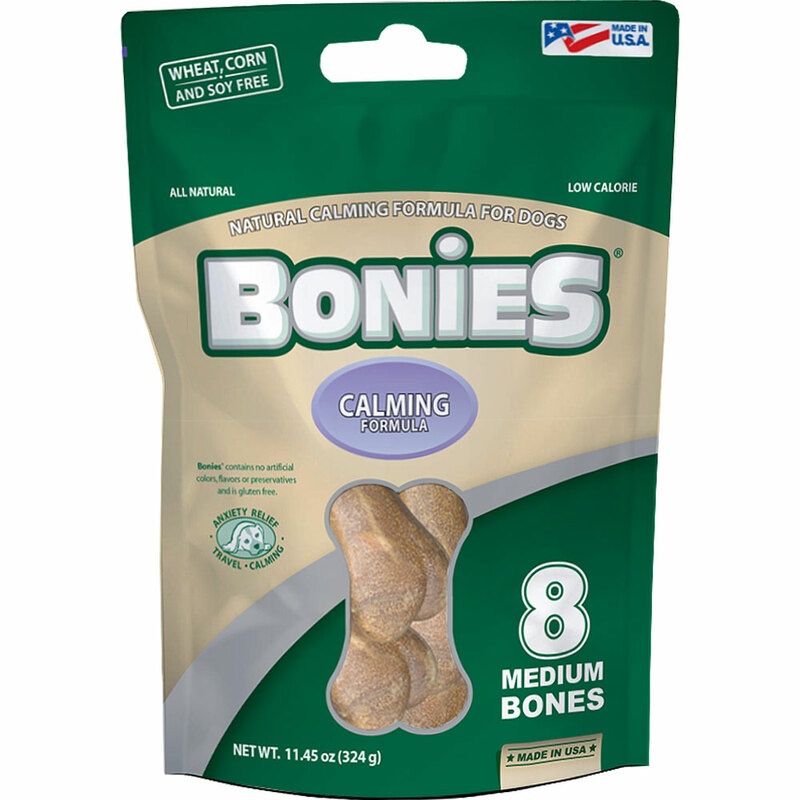 These are great to provide relief to dogs with itchy skin. It is obvious that there is no scarcity of anti-itch dog shampoos in the market! 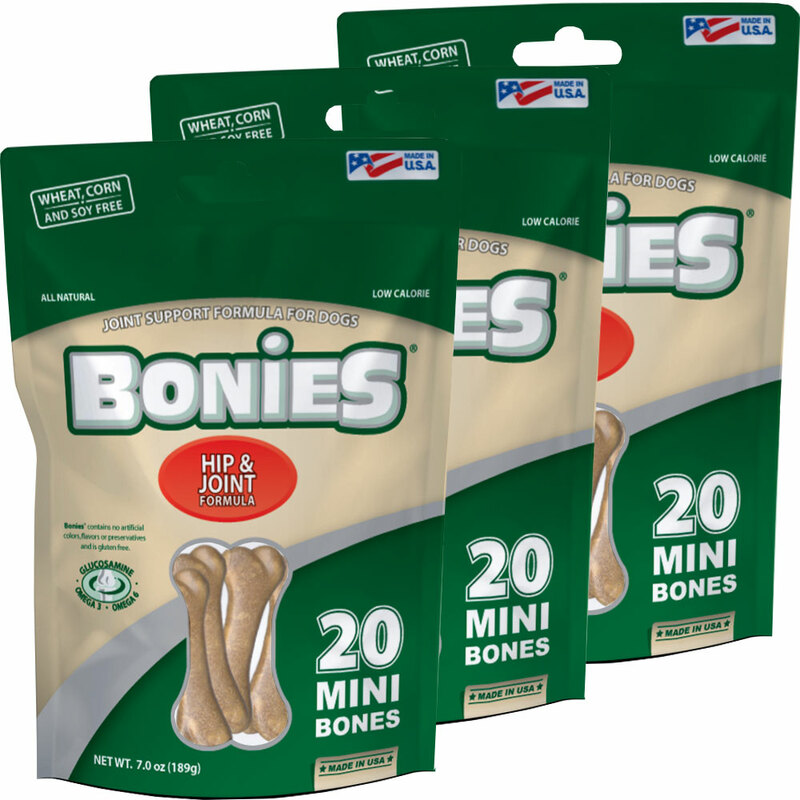 While there are a variety of choices that might be confusing when you are searching for an effective product for your dog, this diversity of products means that you are sure to find something that perfectly fits your preferences. If you are still in doubt about choosing the best anti-itch shampoo for dogs, then it is still best to ask your veterinarian and see what they can recommend to you. 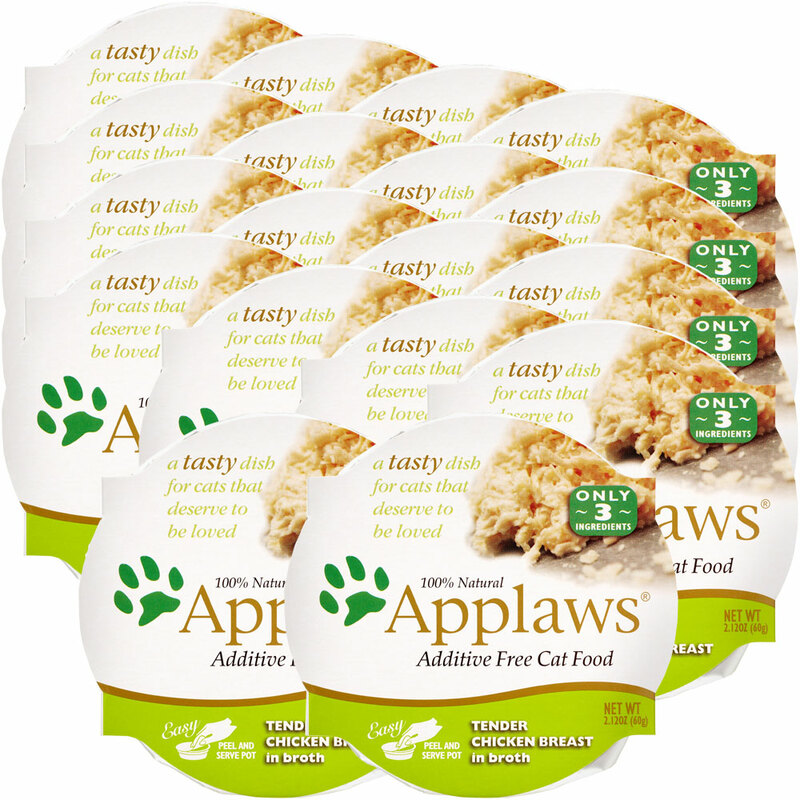 Allpetsdirectory is a blog providing information on pet care, behaviors, tips, tricks, and reviews on pet-related products on the market. https://blog.healthypets.com/wp-content/uploads/2017/07/41124670_L.jpg 1672 2508 Ivy L https://blog.healthypets.com/wp-content/uploads/2016/09/logo.png Ivy L2019-03-27 19:40:482019-03-27 19:40:48Which are the Best Anti-Itch Shampoo for Dogs? We humans say that an apple a day keeps the doctor away. But what keeps the vet away? 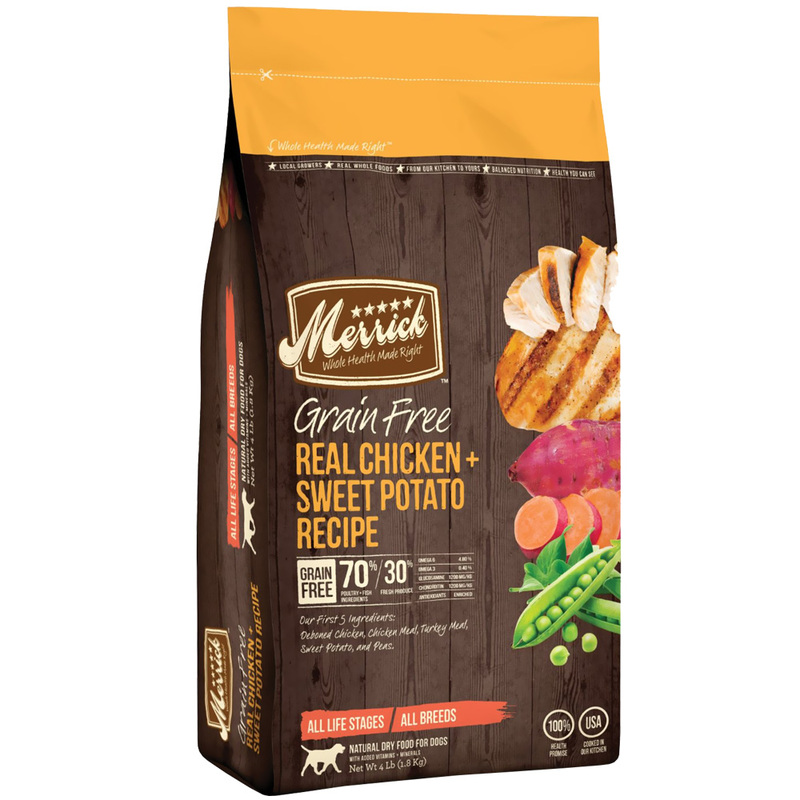 When it comes to our pet’s food, we restrict our pet’s diet to kibbles, canned meat and other forms of packaged dog food. But, did you know that the fruits and veggies we eat can be good for the health of our furry friends as well? 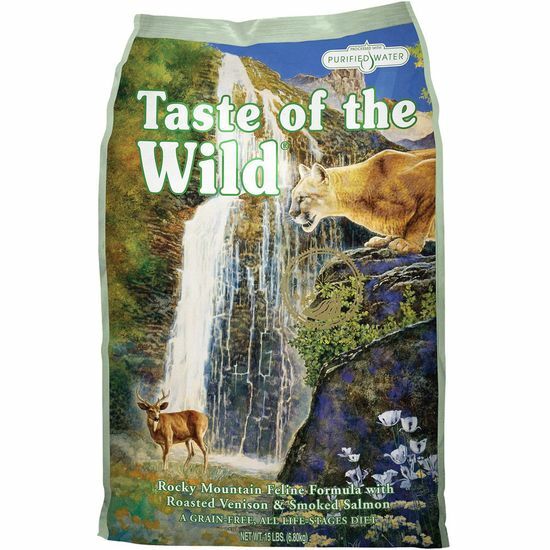 While most branded dog foods claim to be organic and all-natural, most of these contain synthetic nutrients and processed-grain based particles which lack vital minerals and vitamins required to promote good health of our pets. 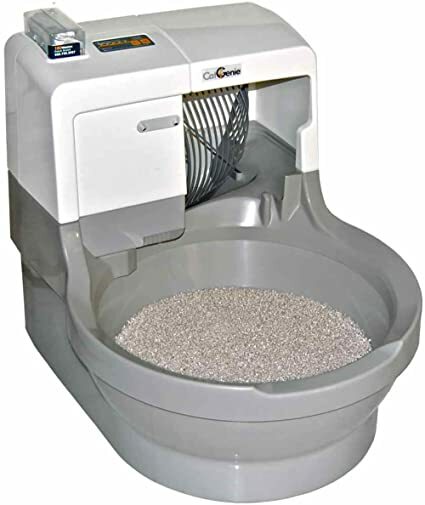 Also, grains are difficult for our pets to digest, and it is the primary ingredient of most dog foods available in the market. 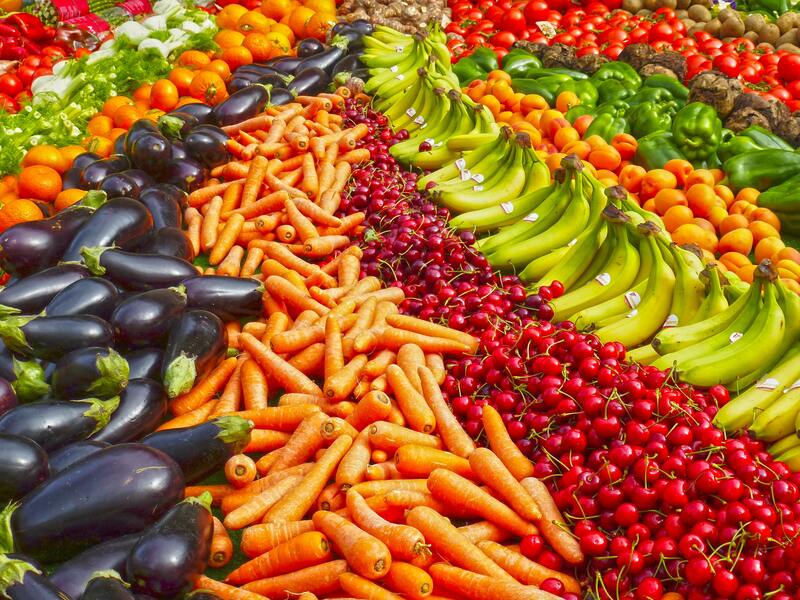 Here are some fruits and vegetables we eat which are suitable for man’s best friend. From a young age, almost all of us are taught that carrots are good for our eye-sights. No wonder we have never seen Bugs Bunny wearing glasses. This applies to our dogs as well. 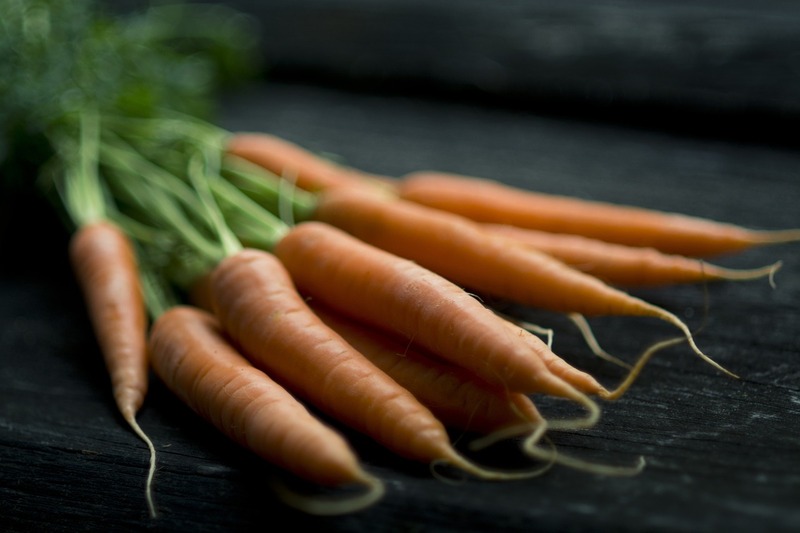 Carrots are known to promote good health and good vision for both humans and dogs as they develop good visual health by nourishing the optic nerves. Also, carrots are a great source of provitamin beta carotene, which is known to convert into Vitamin A. These are potent antioxidants which help in the prevention of cancer. Carrot is also known to be a good source of Vitamin C which is known to promote the production of collagen in blood vessels, bones, cartilage, and muscles, enabling better absorption of iron. Carrots are a good source of other nutrients also such as Vitamin D, E, K, calcium, riboflavin, sodium, iron, magnesium, potassium and phosphorous. 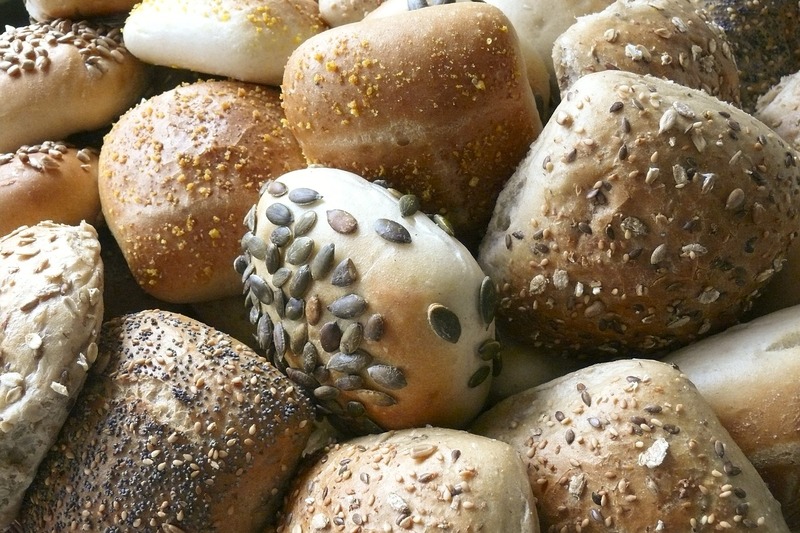 These vital nutrients are known to promote healthy digestion and immune system. 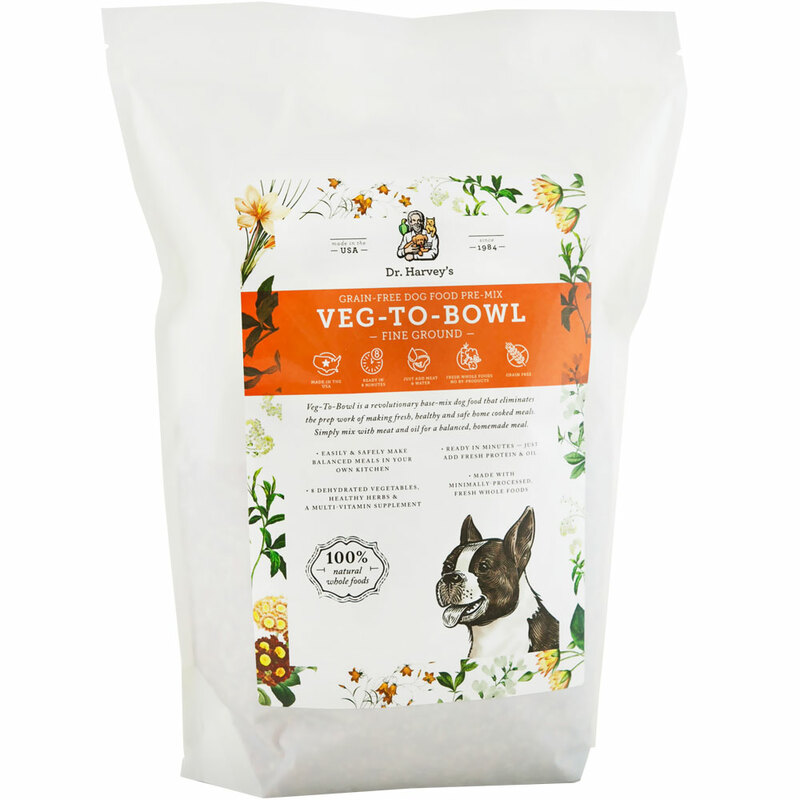 Broccoli is known to be one of the healthiest and nutrition-dense vegetables, which are suitable for dogs as well. Broccoli contains Vitamin A, C, D, fiber calcium, chromium, folic acid, and beta carotene. 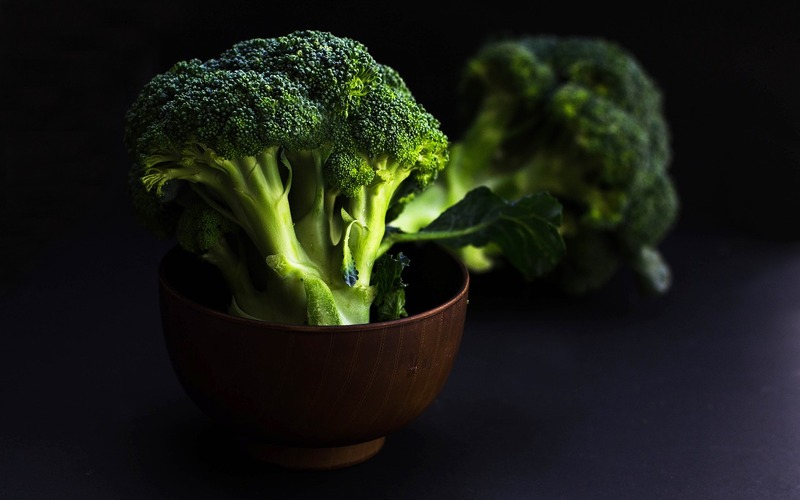 Broccoli releases indole, a cancer-fighting enzyme when it is cooked. 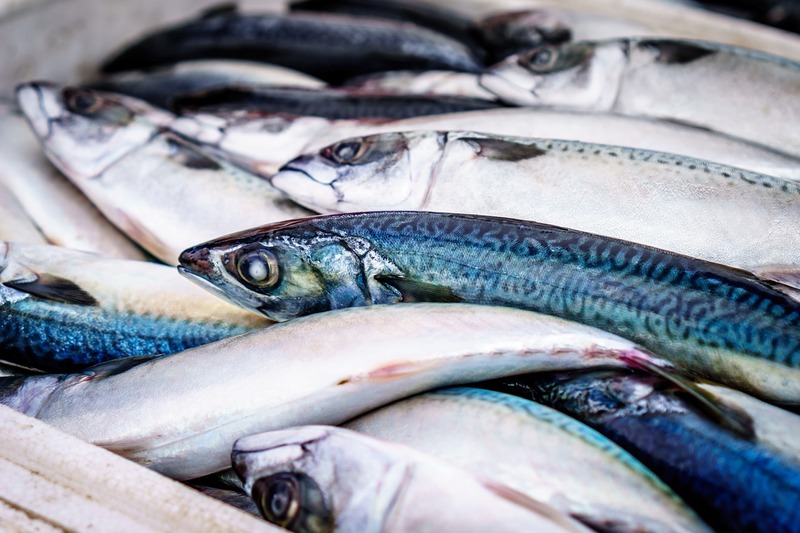 This enzyme is known to contain 33 different forms of cancer-preventing compounds. 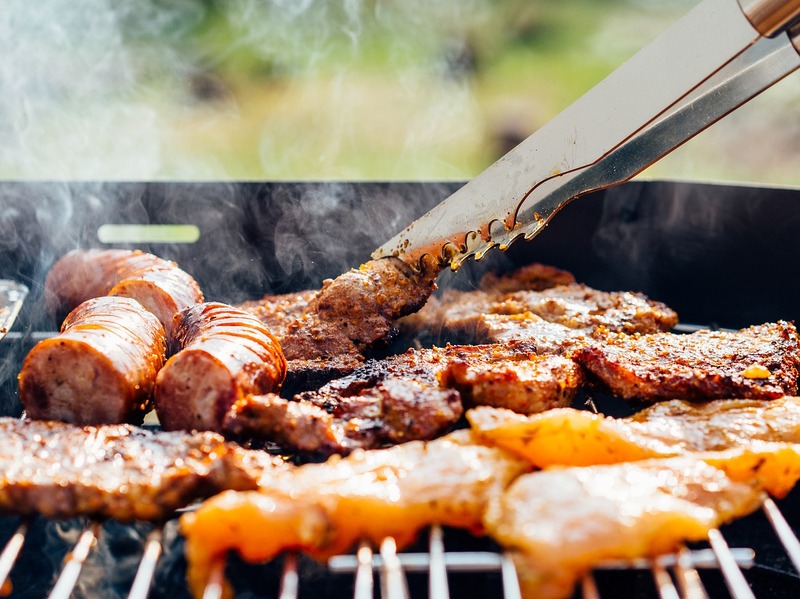 This includes many types of phytochemicals which prevent formation carcinogens and prevents it from attacking healthy cells and develop enzymes which breakdown carcinogens. Cantaloupe is known to contain vitamins which promote good eyesight and also contains vital antioxidants. Cantaloupe riches in Vitamin A, and it is loaded with beta carotene. Consumption of cantaloupe is linked to a reduction of growth of cataract. 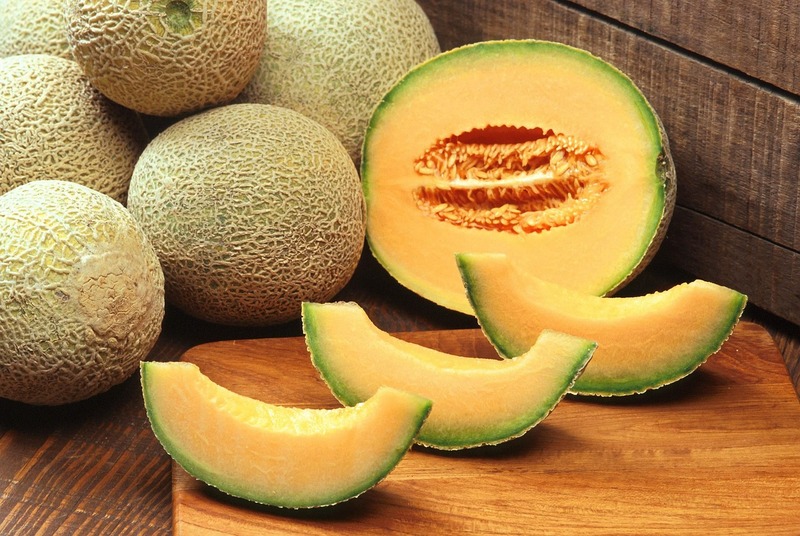 Cantaloupe is known to promote good eyesight in dogs, and the beta carotene is also known to reduce the risk of different forms of cancer and also prevents oxidation of cells. 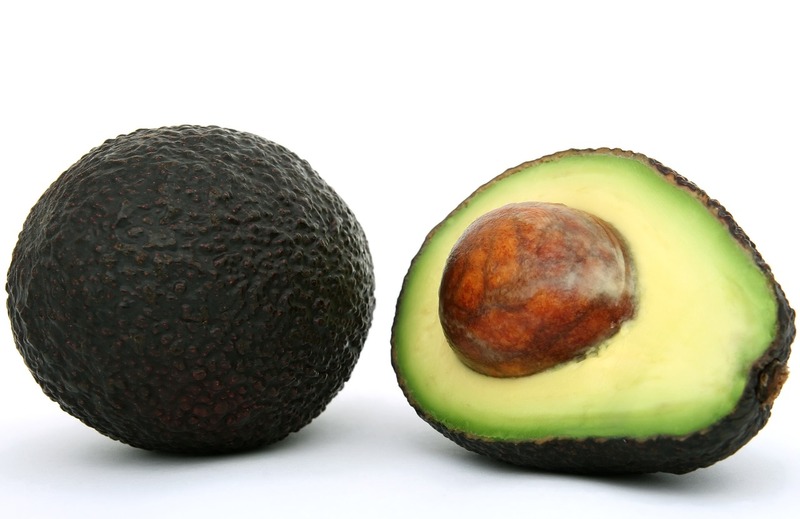 Furthermore, the fruit also contains Vitamin B-6 and Vitamin C, along with niacin, potassium, fiber, and folate. Cantaloupe is suitable for consumption of dogs as the fruit is not allergenic, allowing dogs to consume the fruit without any risk of allergic reaction. Consumption of celery is known to reduce cancer and enhance good health of the heart. This is primarily due to celery being rich in Vitamins A, B and C, calcium, sodium, phosphorous, iron and potassium. The phytochemical known as 3-n-butyl found in celery is known to have tumor-fighting agents and consumption of celery is known to prevent and reduce tumors, reduction in blood pressure and act as an acid neutralizer. Celery also contains phthalides and coumarin. 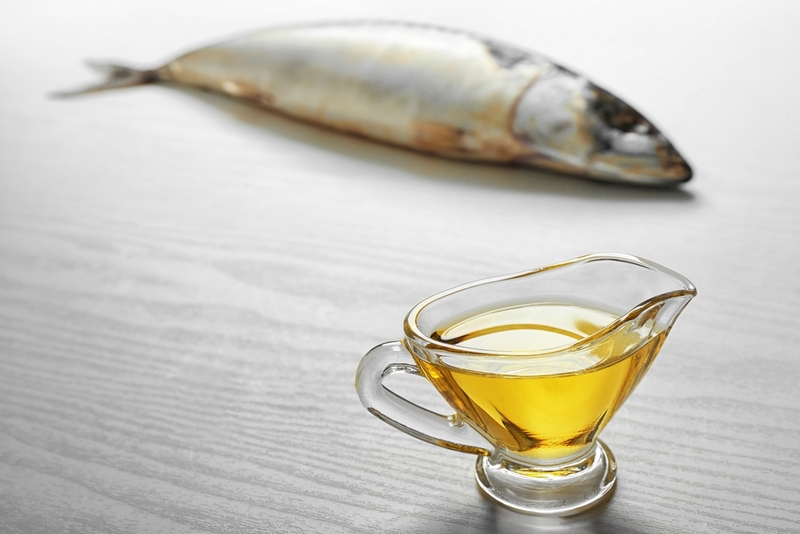 While phthalides are known to be a cholesterol-reducing agent, coumarin is known to prevent cancer. Phthalides is also aid in relaxing muscles around the blood arteries and lead to blood vessels to dilate, as a result of this reducing blood pressure. Phthalides also helps in reducing stress hormones which are known to constrict blood vessels. 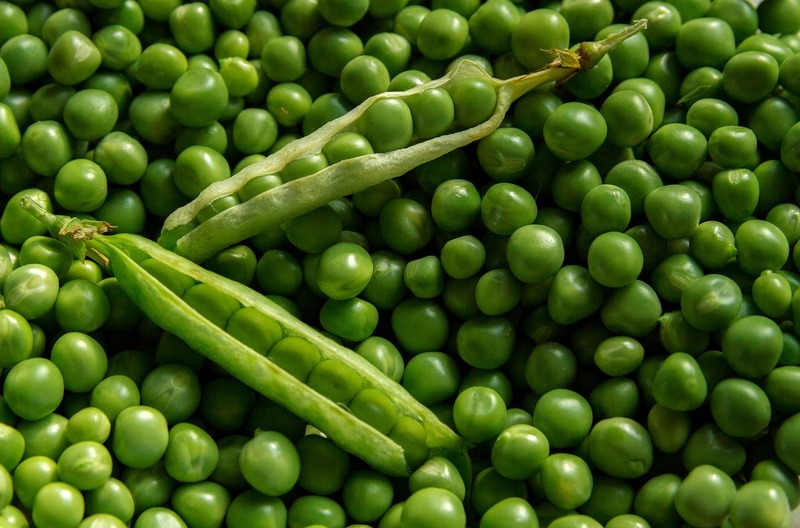 According to research and studies, consumption of green beans by humans and animals is known to protect against oxygen damage and improve levels of blood fat. 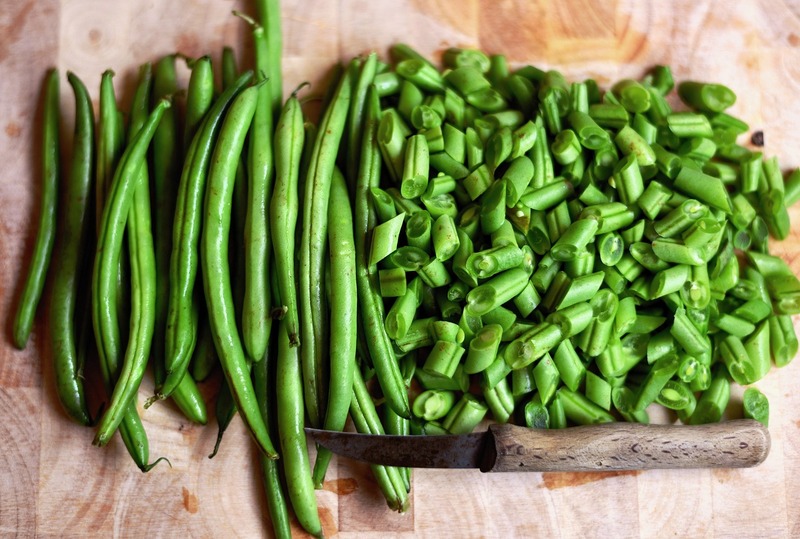 Green beans are known to contain omega-3 fatty acids, which is known to offer a wide array of cardiovascular benefits. Green beans are a good source of other nutrients also such as Vitamins A, C, and K along with copper, calcium, fiber, iron, niacin, manganese, folic acid, riboflavin, thiamine and potassium along with high levels of beta carotene. These nutrients found in green beans are known to promote bone health and maintain healthy bones and triggers a non-collagen protein in bones known as osteocalcin. Popeye got his strength from eating spinach, allowing him to beat up Brutus who is twice Popeye’s size. Feeding spinach to your dog can lead to a stronger and healthier dog. Spinach is a nutrient-dense leafy vegetable which contains twice the amount of iron found in other leafy greens. 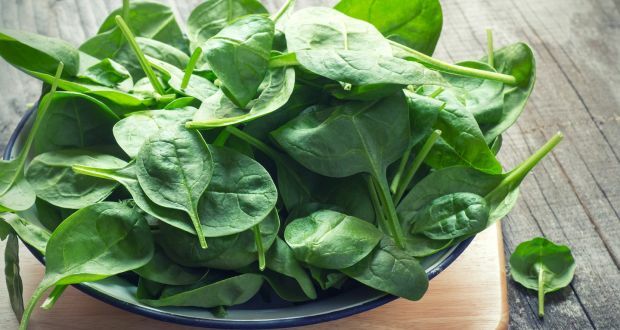 Spinach is also rich in calcium, fiber, potassium, Vitamin A, B6, and K.
Consumption of spinach by dogs helps in keeping inflammatory and cardiovascular problems and cancer at bay. Also, the carotenoids and flavonoids found in spinach were known to have anti-cancer and anti-inflammatory properties. An apple a day keeps the doctor away. Consumption of apples is suitable for human and our best friend as well. 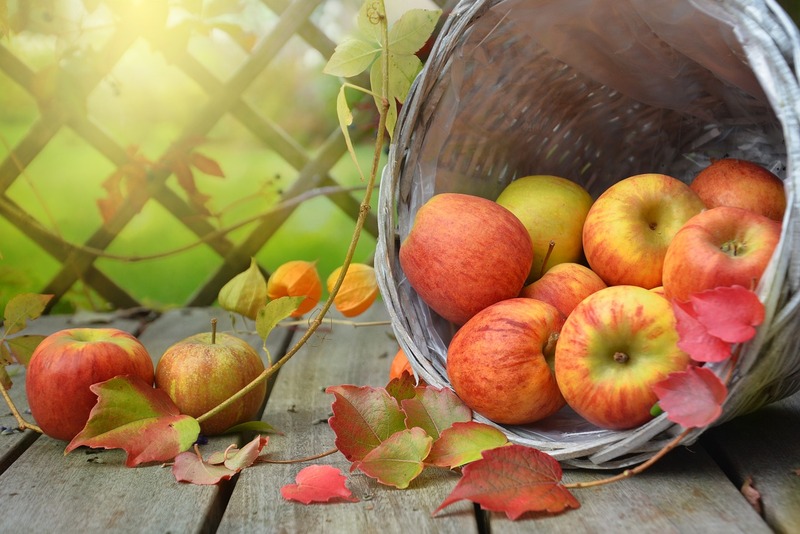 Apples contain a diverse form of nutrients and vitamins. 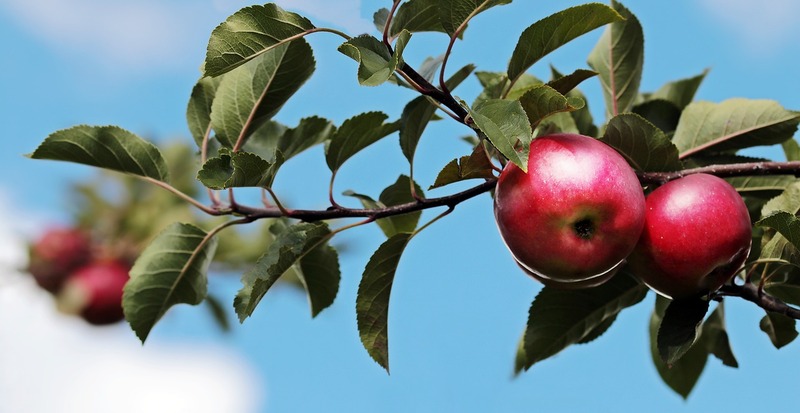 Many breeds and variants of apples, such as Northern Spy, Ida Red, and Red Delicious as they offer 33 percent more antioxidants compared to other options of apples. Apple is a good source of Vitamin C for humans and dogs, and each apple is known to contain approximately 1500 mg of Vitamin C. It is advised not to peel off the skin of the apple as it contains large quantities of Vitamin and a fiber known as pectin. It helps in improving digestion and strengthen abdominal muscles and extract toxins found in the intestinal tract and promotes the creation of short-chain fatty acids which prevents accumulation of harmful bacteria in the colon. Consumption of pears by humans and dogs is known to strengthen our heart and intestinal tract. 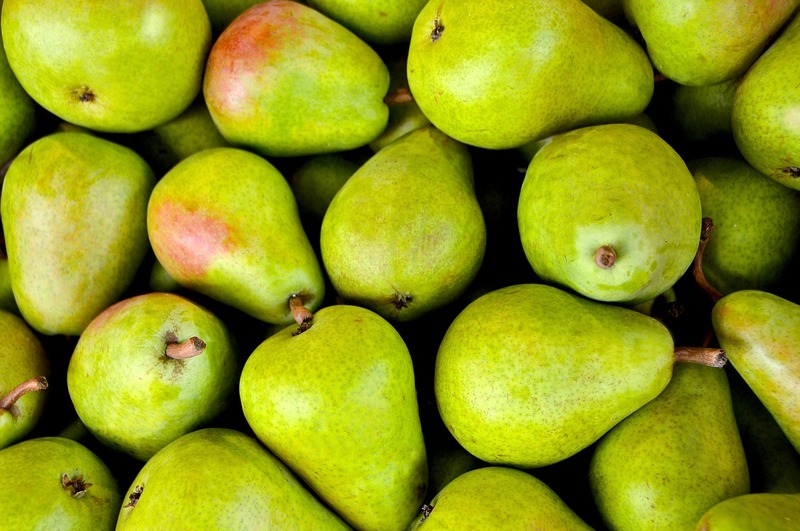 Pears are known to contain pectin which helps in increasing colon health. Pears also include ample source of potassium which helps in maintaining muscle and heart health along with improving carbohydrate metabolism and nerve transmission. Pears can good for dogs which suffer from irregular motions or constipation as the fiber found in the fruit promotes good intestinal health along with binding of bile salts and carry them out of the intestinal tract. As bile salts consist of cholesterol, consumption of pears also aid in lowering cholesterol levels in human and our cuddly pooches. 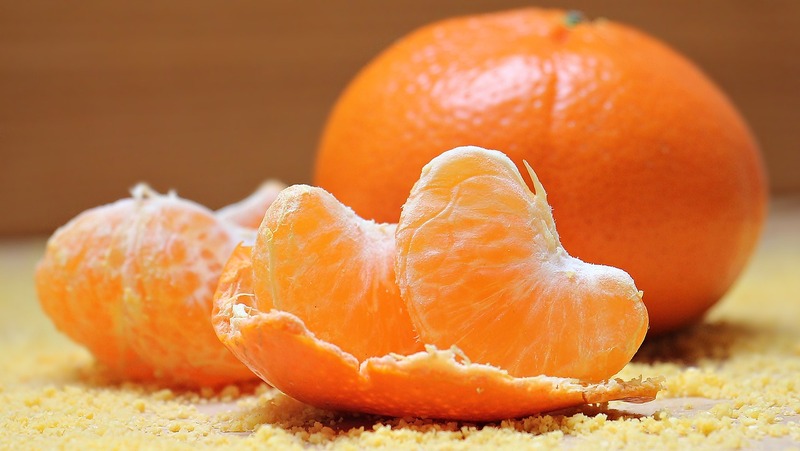 Oranges are associated being a good source of Vitamin C, but the citrus fruit is also rich in thiamine, folate, calcium, potassium, and magnesium making it a healthy fruit of human and canine consumption. Oranges also contain flavonoids, which aid in strengthening the connective tissues and the immune system of our furry friends. The citrus fruit is also known to protect from viral infections and cancer. Other health benefits of eating oranges include a reduction in levels of cholesterol, prevention of cardiovascular diseases and rheumatoid arthritis, lowers risk of stomach cancer and promotes of respiratory health. Pumpkin is a healthy food for humans and dogs. 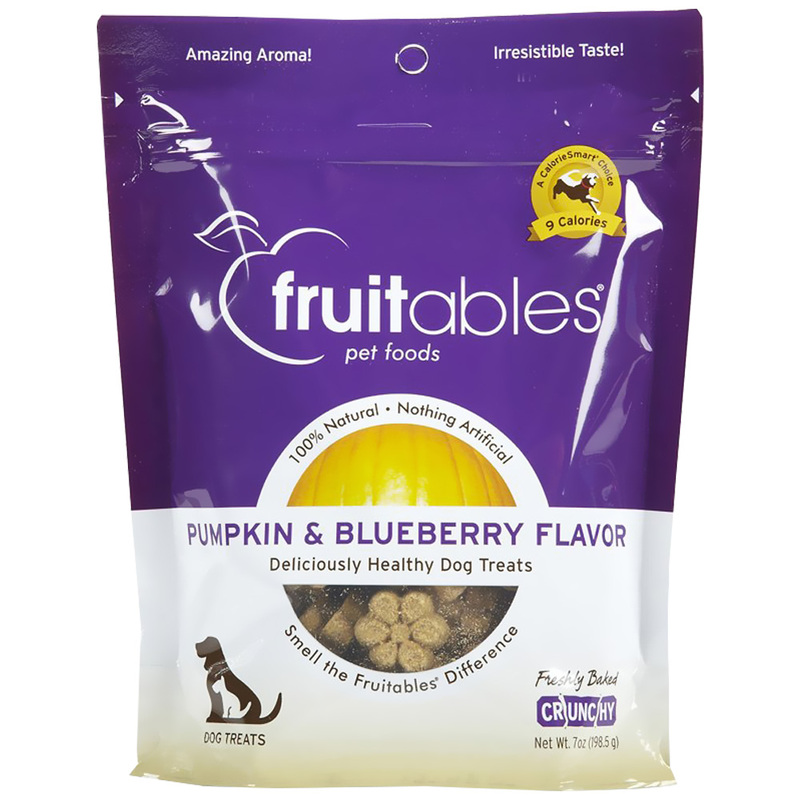 Consumption of pumpkin is beneficial for dogs who experience digestive issues, diarrhea, constipation, and problems related to the colon. Consumption of pumpkins is also known to promote colon health. 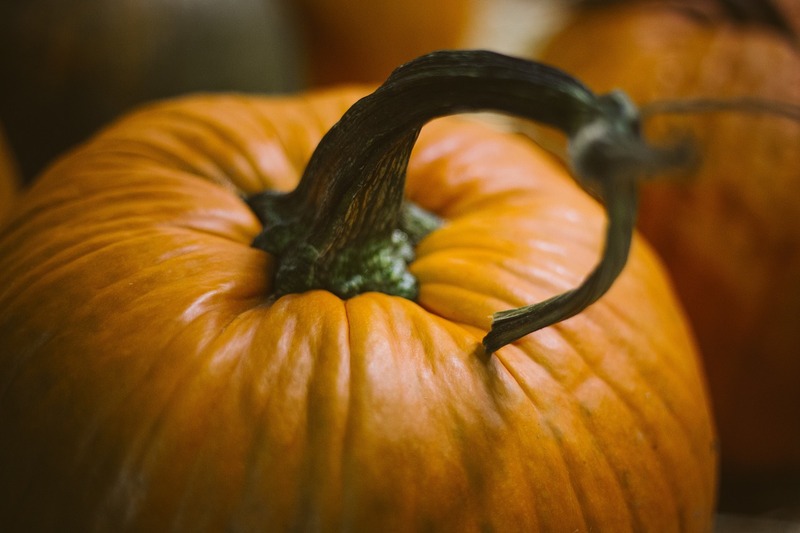 Pumpkins help soften the stool which helps in relieving constipation, and a large amount of fiber found in pumpkin absorbs water which helps in the alleviation of diarrhea. Merely adding a few spoons of pumpkin in the daily diet of your dog can aid in improving their intestinal health. Pumpkins are also useful for weight-loss for our over-weight canine friends as pumpkin is low in calorie and loaded with antioxidants, vitamin A and help in the regulation of blood sugar along with promoting cardiovascular health. 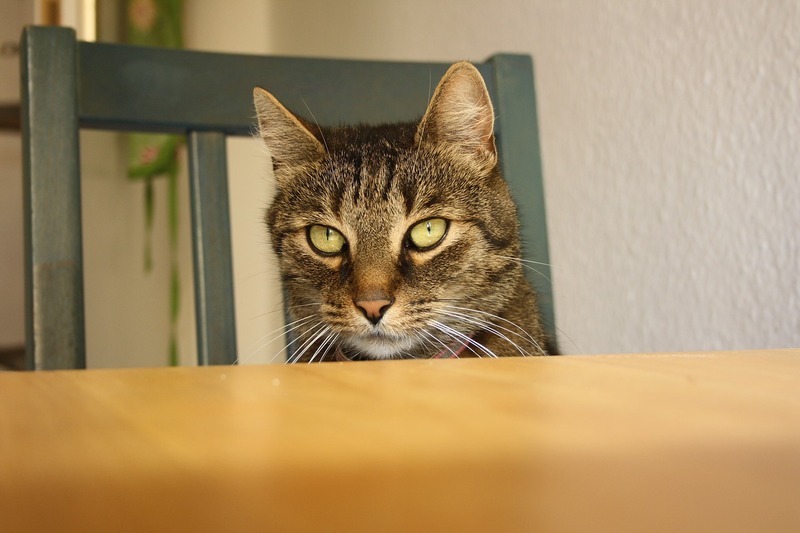 Years of marketing and conditioning by the pet-care industry has developed the perception in the minds of pet-owners that human food is not good for the consumption of pets. 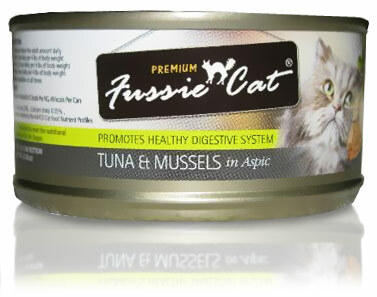 This is done to boost the sale of dog food and other pet food. 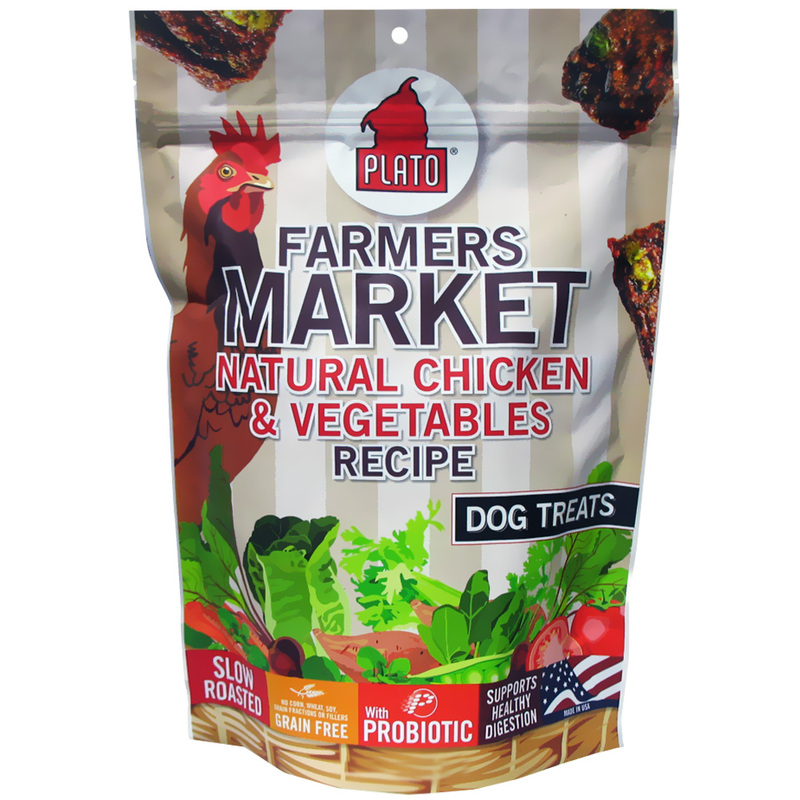 After all, dogs and other pets have been consuming human food for centuries, long before the invention of pet food. 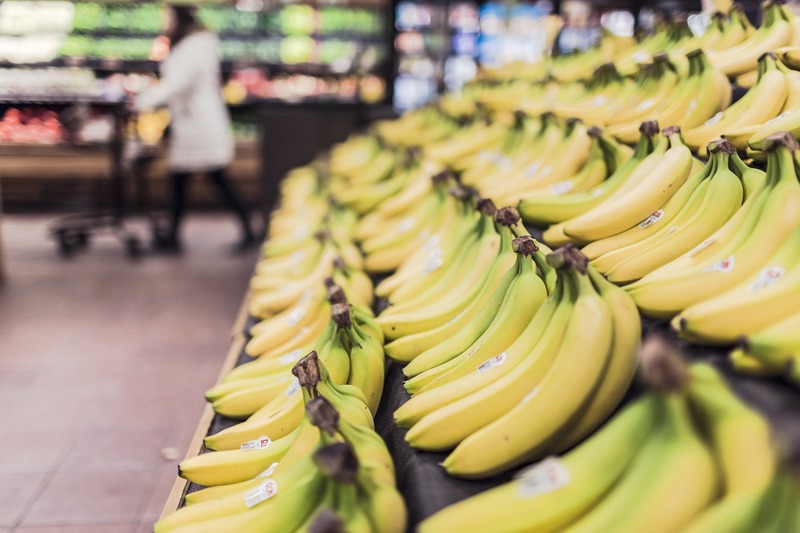 However, pet-owners should avoid feeding dogs fruits and vegetables such as onion, cherries, asparagus, avocado, grapes, mushrooms, and tomatoes. 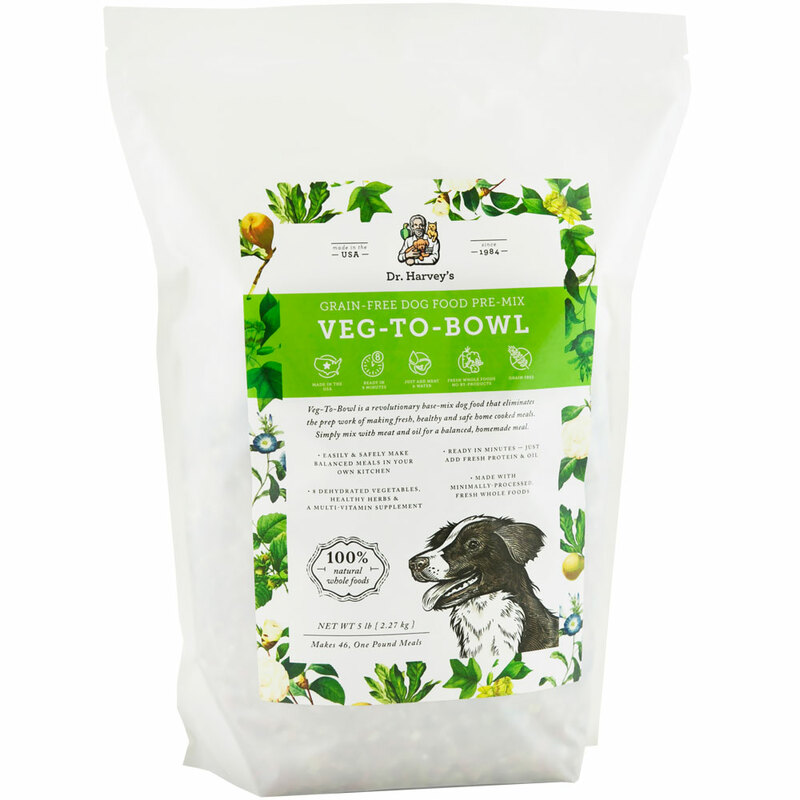 It is advised to consult the veterinarian before including fruits and vegetables in the daily diet of your canine friends.